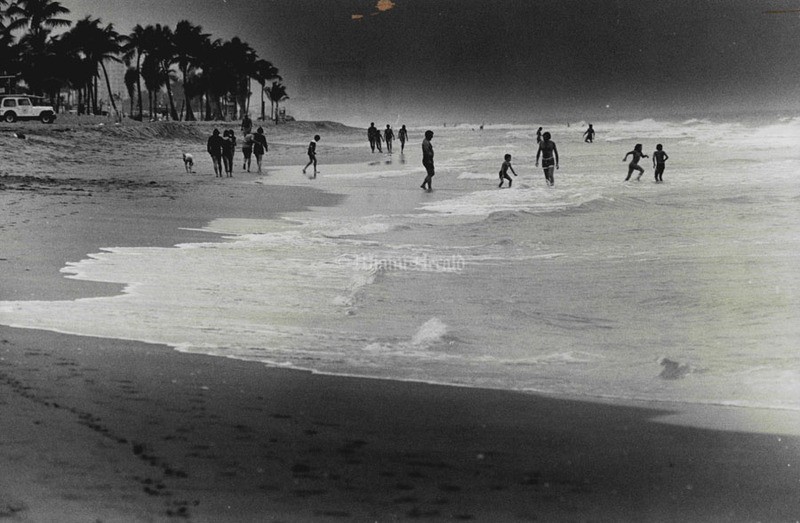 In South Florida, summer’s for the locals. The snowbirds have flown back north, the kids are out of school and long days are briefly interrupted by crashing storms. Yes, our seasonal change might be so subtle that it barely registers for some — this is the Sunshine State, after all, 365 days a year — but for us, summer has always meant the beach. 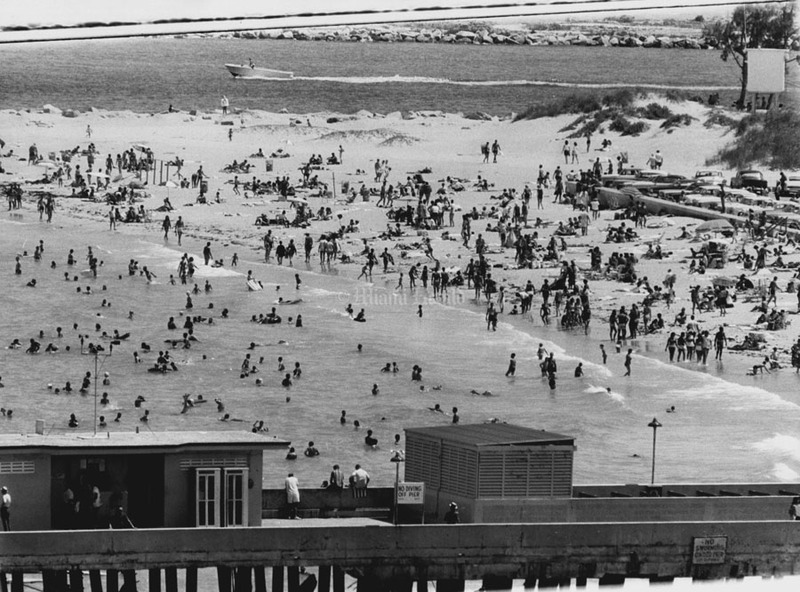 From the Beach-Blanket-Bingo era of the ’60s to today, the beach has beckoned from across the bridge or down the street, less crowded, more inviting… summertime. 3/23/1952, John Walther/Miami Herald: Faith Stevens shows the gang what fun can be had bouncing on the Trampoline.. L to R Cynthia Adams, Ann Spier Marilyn Knight, Rusty Hawkins, Minty Klein, Cynthia Meade, Frances Townley and Tuckie Briggs. 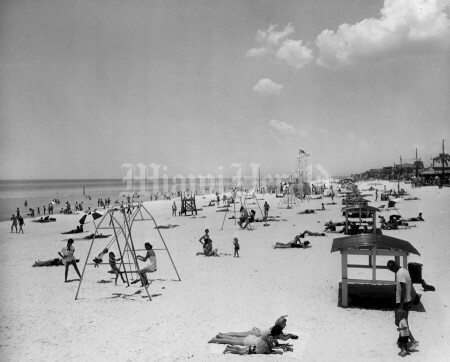 9/3/1963, Albert Coya/Miami Herald: Beach. 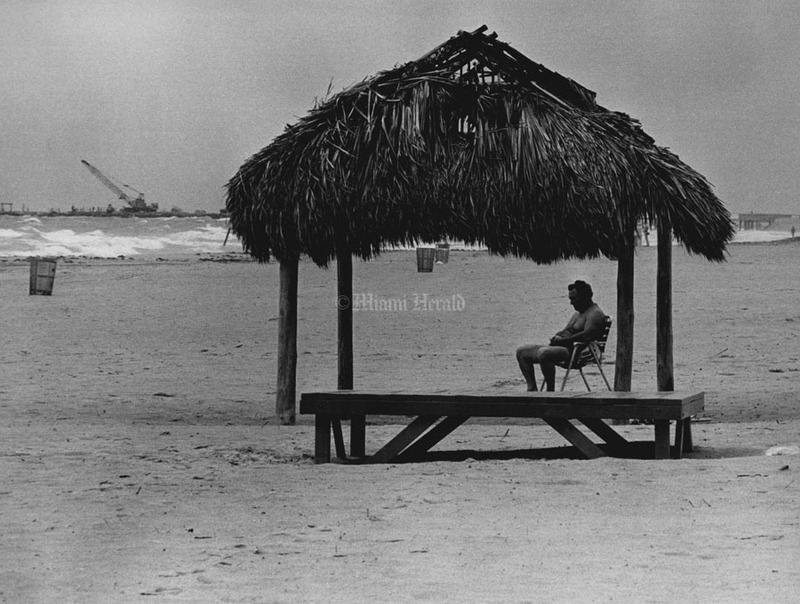 5/27/1979, John Walther/Miami Herald: Beach. 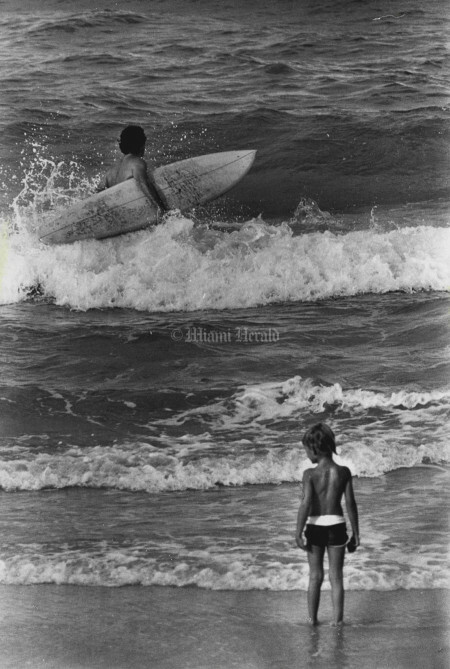 9/29/1973, Marlin Levinson/Miami Herald: Beach. 2/1/1959, Bill Sanders/Miami Herald: 46th St. Beach looking north. 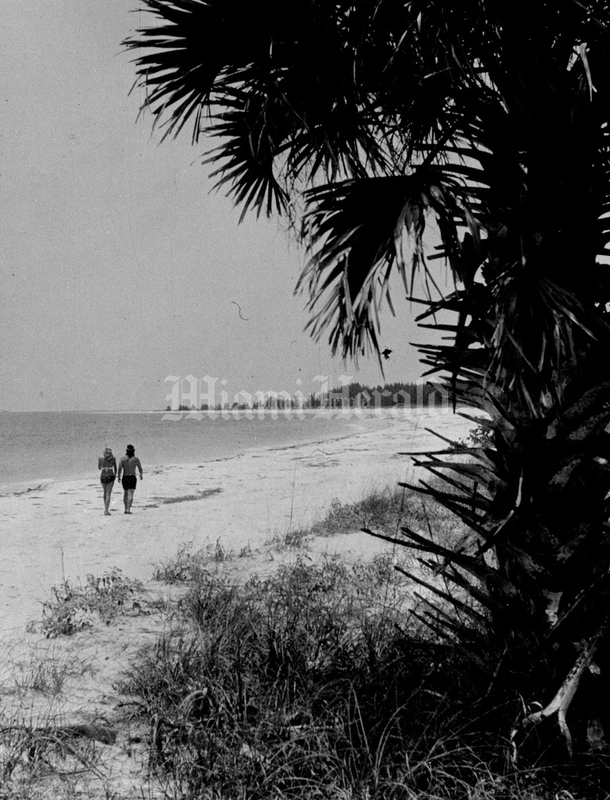 5/29/1966, Battle Vaughan/Miami Herald: South Florida's Beaches are far from Deserted... tourists still flocking to South Beach. Undated, Bob East/Miami Herald: Family day at the beach. 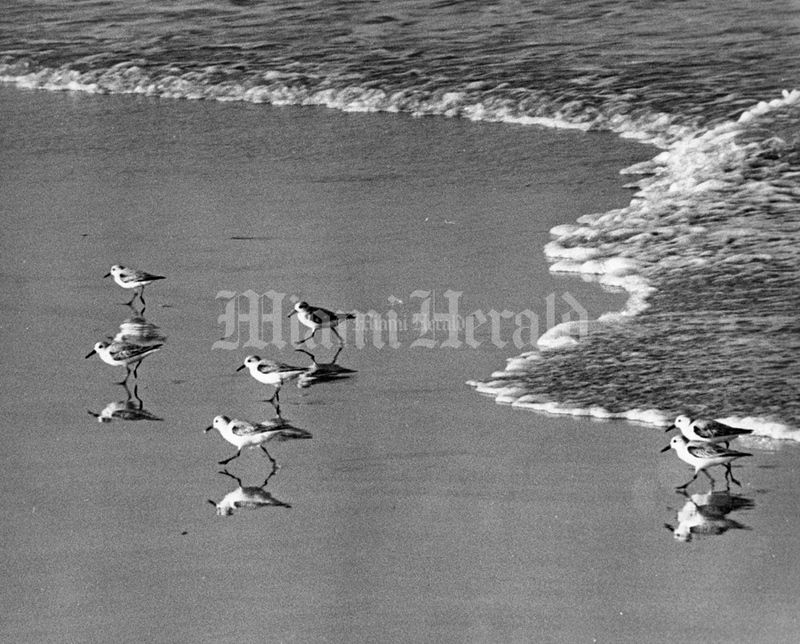 2/1/1964, Mark Peterschmidt/Miami Herald: Beach. 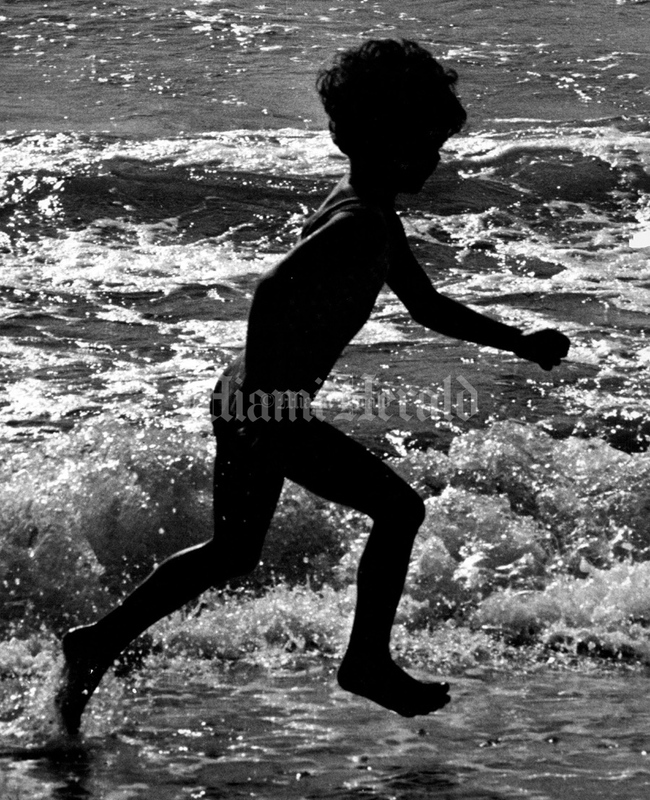 Bruce Kaplan, 9 at the end of the treasure trail. 5/14/1972, Battle Vaughan/Miami Herald: Couple looking over Government Cut. 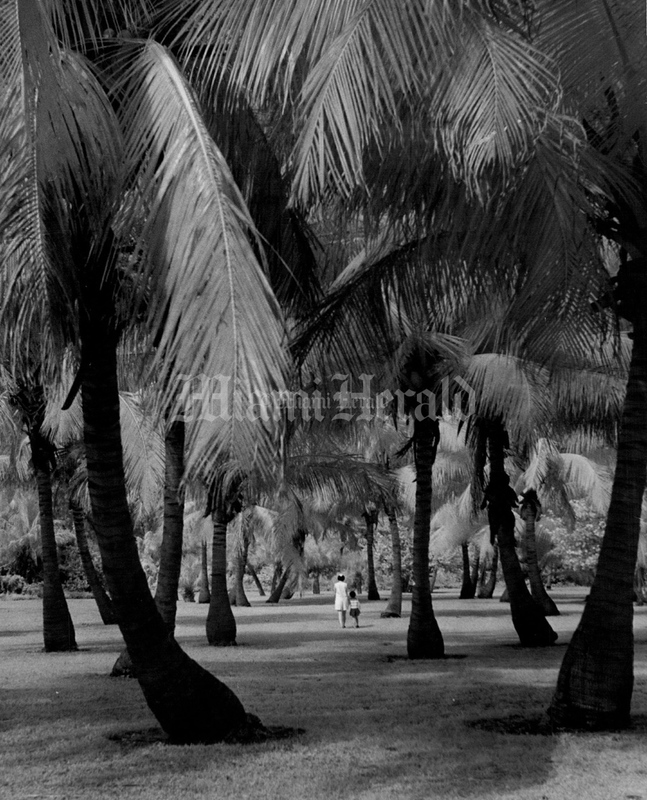 6/6/1968, Doug Kennedy/Miami Herald: Palm trees. 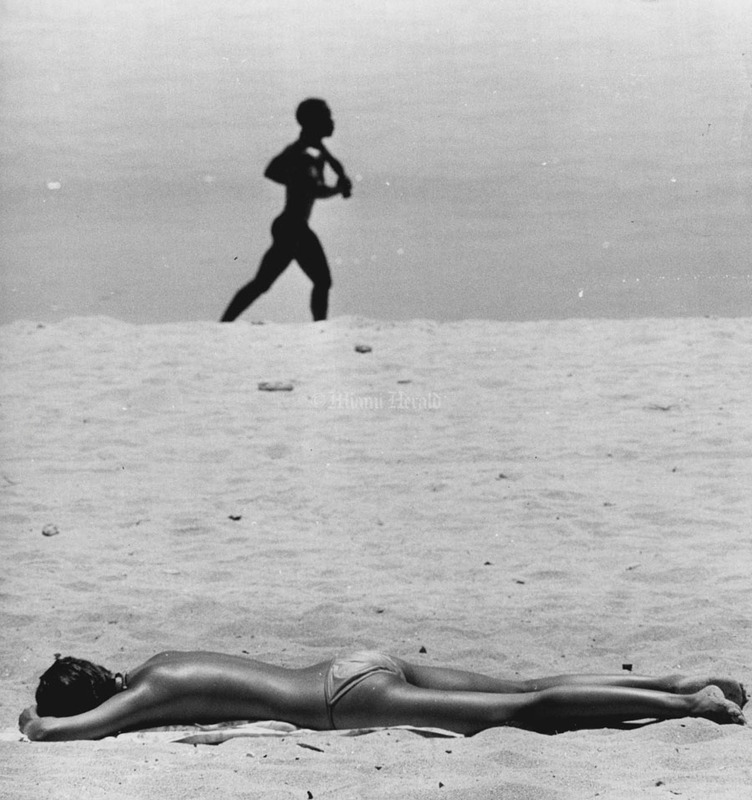 Undated, John Pineda/Miami Herald: People keeping cool on the beaches - just walk in shady places. 8/6/1963, Mark Peterschmidt/Miami Herald: Looking for girls at the beach. 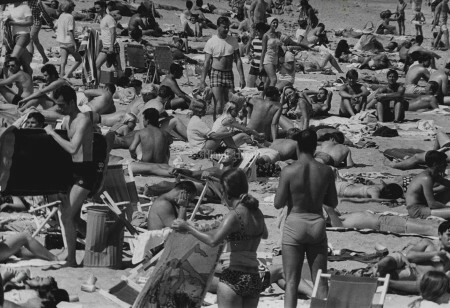 7/12/1963, Bill Sanders/Miami Herald: Beaches. 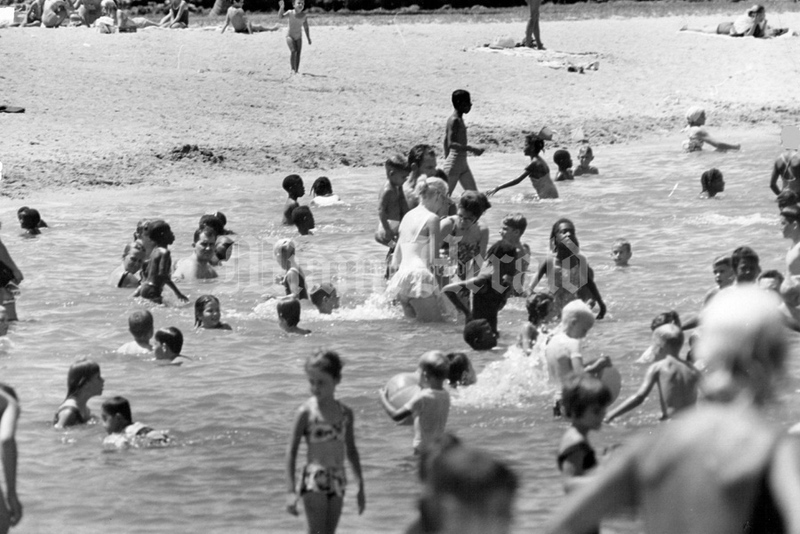 7/29/1963, John Pineda/Miami Herald: People keeping cool at the beaches- a good white hat and big planket to spread. 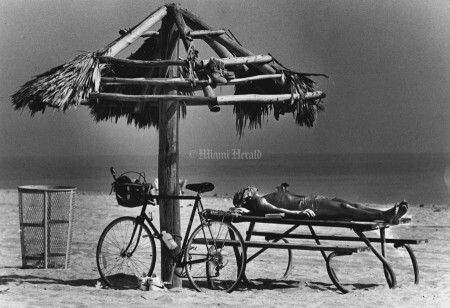 6/13/1964, Tom McCarthy/Miami Herald: Beach cycling. 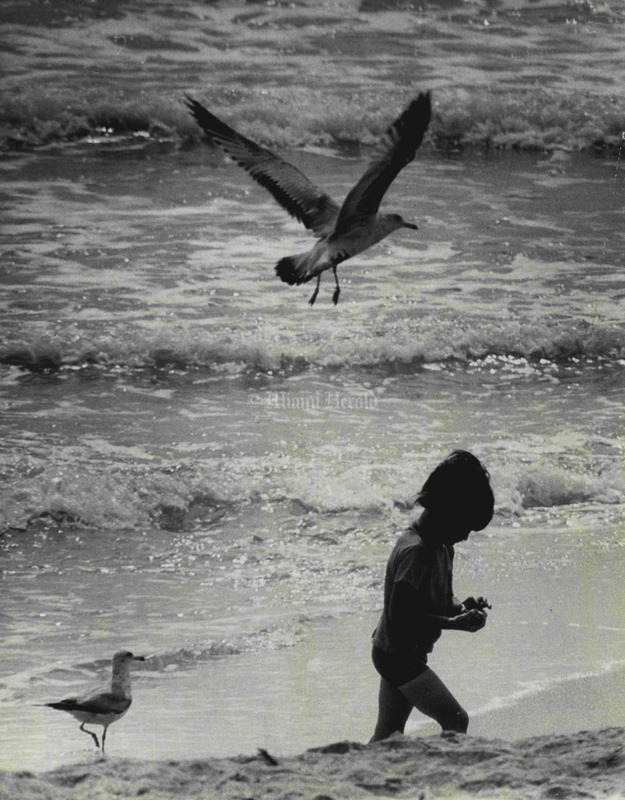 5/27/1979, Marice Cohn/Miami Herald: Theron Ramsey, 4 spent the day at the beach on Rickenbacker Causeway (Hobie beach) yesterday with friends. All live in North Miami. 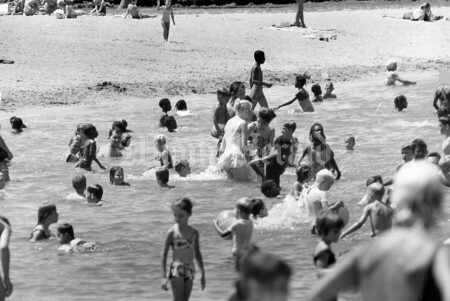 4/1/1965, Larry C. Huston/Miami Herald: Beach scene. 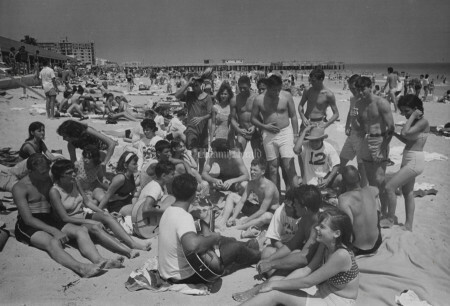 1966, C.A. 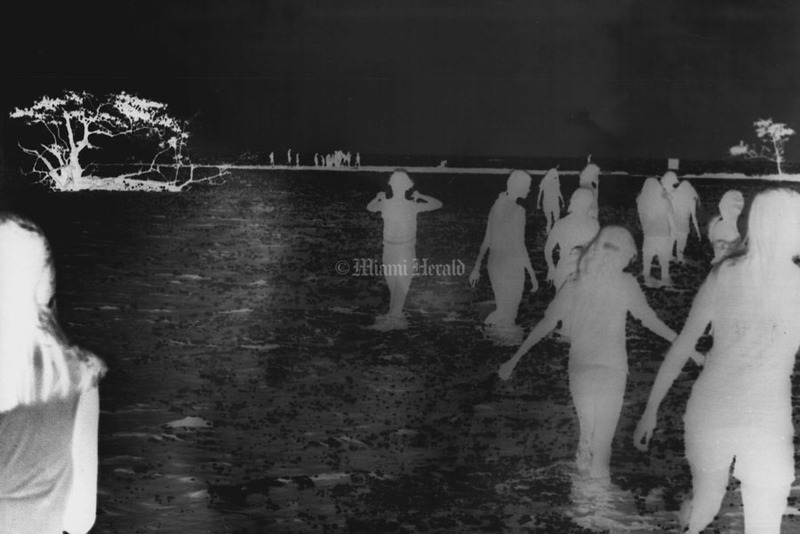 Mitchell/Miami Herald: Wall-to-wall kids frolic with fun hunters at beach. 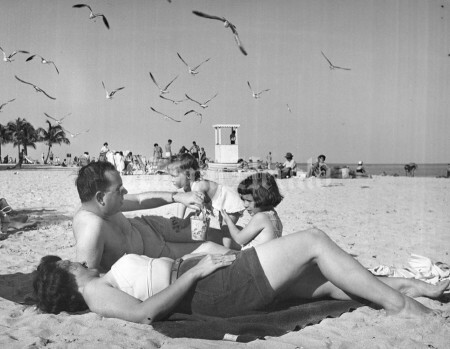 Miami residents are enjoying what tourists travel miles for. 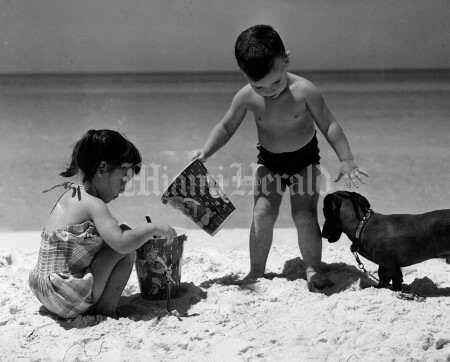 3/18/1979, Miami Herald: Dennis Butkowski at Key West with "Trixie" the dog (2yrs old). 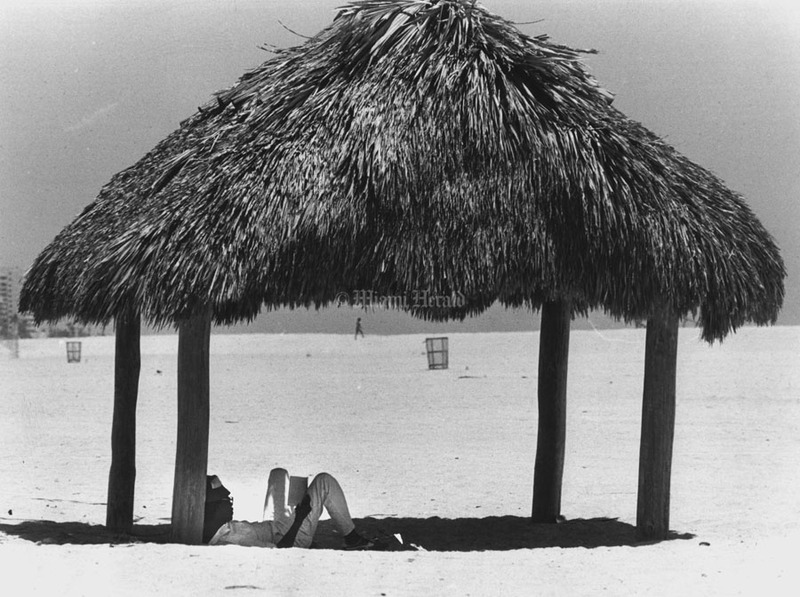 Undated: Julie Padillo enjoys Miami's cooling breezes while pointing out official weather bureau statistics, complied from records over the last forty years. 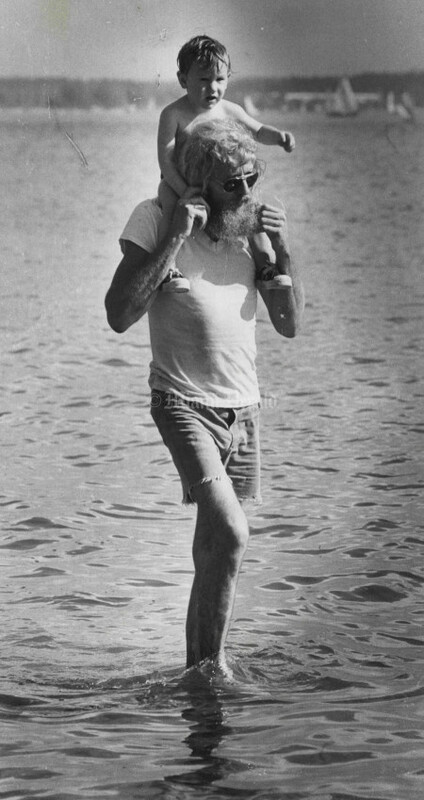 8/21/1968Some Feet -- No, that's not a diver who missed the water, it is lifeguard Terry Miles. 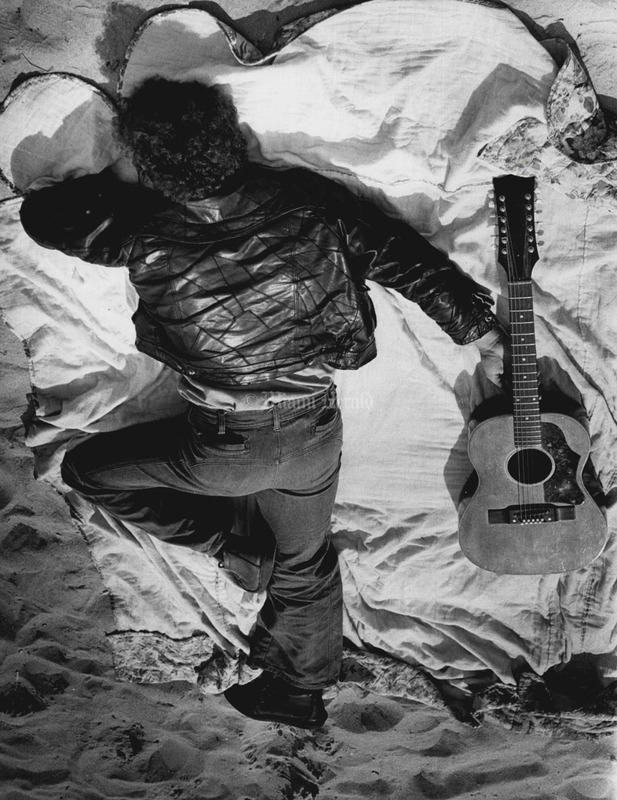 His body is covered with sand just out of the picture. 8/15/1985, Randy Bazemore/Miami Herald: Sunbathing. 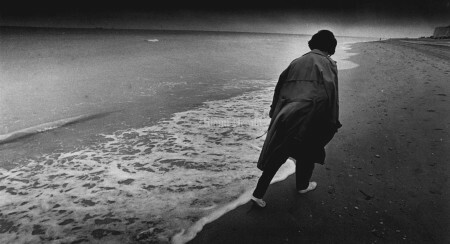 Roland Grant relaxes on the seawall at 75th St. listening to his cassette tapes of Rare silk. 7/11/1980, John Walther/Miami Herald: Beach. Undated, Miami Herald: Fishing in various types of costume on Bear Cut bridge. 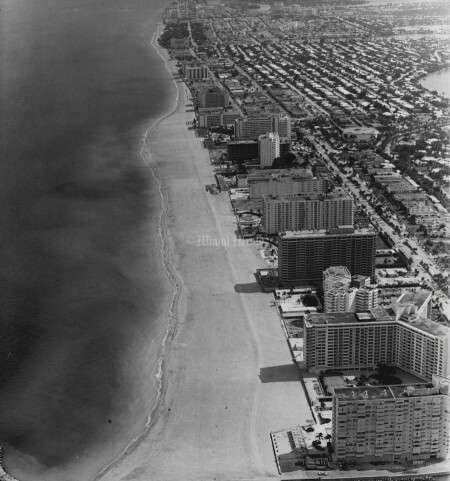 3/25/1977, Albert Coya/Miami Herald: Beach. 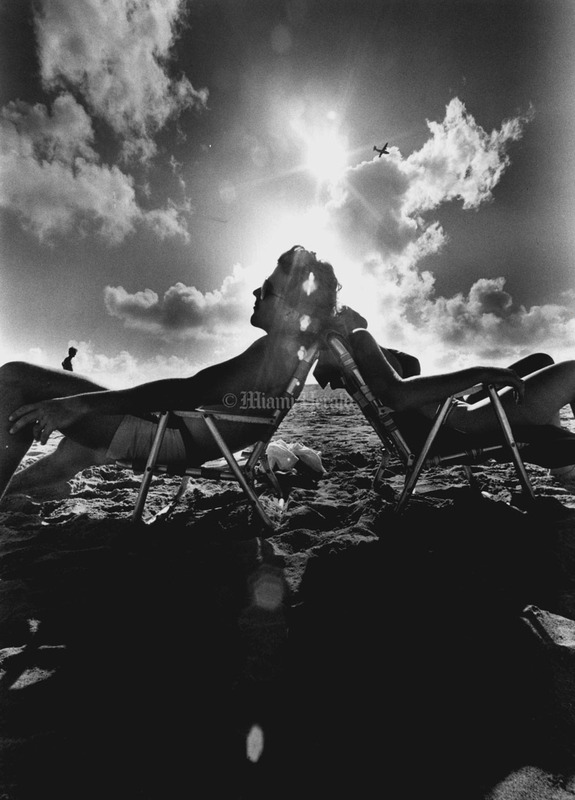 6/23/1985, Tim Chapman/Miami Herald: Beach. 6/17/1994, Jeffery A. Salter/Miami Herald Staff: "Postcards from the beach." Early morning yoga people greet the early morning sunrise on South Beach. 9/27/1980, Bill Frakes/Miami Herald Staff: Andrea Nochimson enjoys the tube race at 46th St. beach. 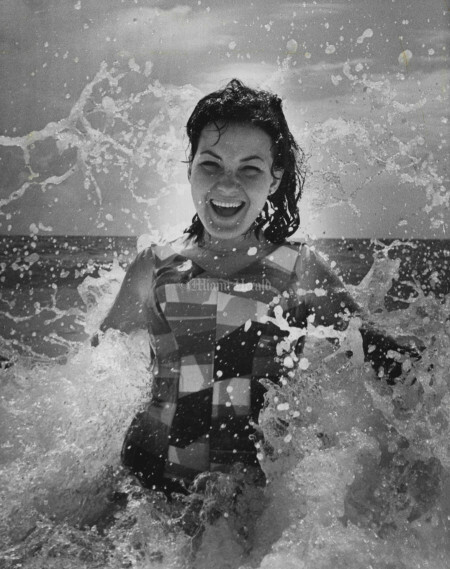 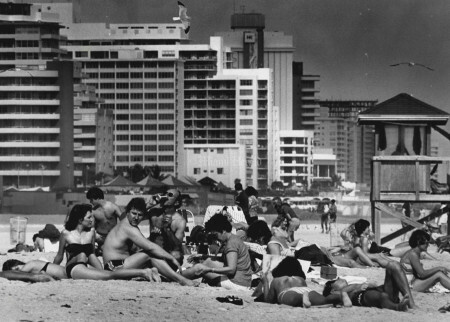 Undated, Carol Guzy/Miami Herald Staff: George Delgado on South Beach. 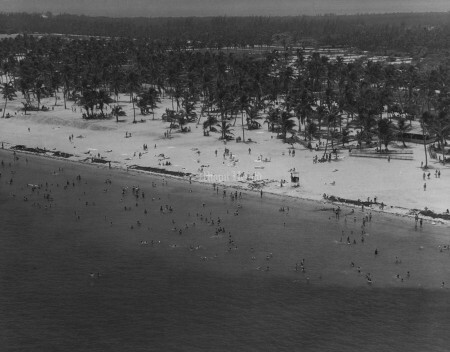 1/6/1983, Mary Lou Foy/Miami Herald Staff: At Crandon Park Beach Friday afternoon, playing with huge inner tube on a sand bar way out from shore. 12/18/1983, Miami Herald Staff: Beach. 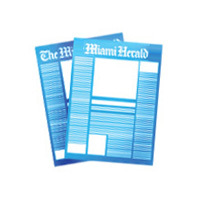 6/21/1986, Albert Coya/Miami Herald Staff: Gregg Abel, from Miami, and K.C. Canter visiting from North Carolina, play with the Indian club. 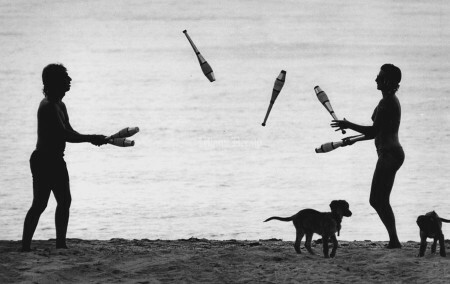 They are not professional jugglers, but believe is an excellent exercise. 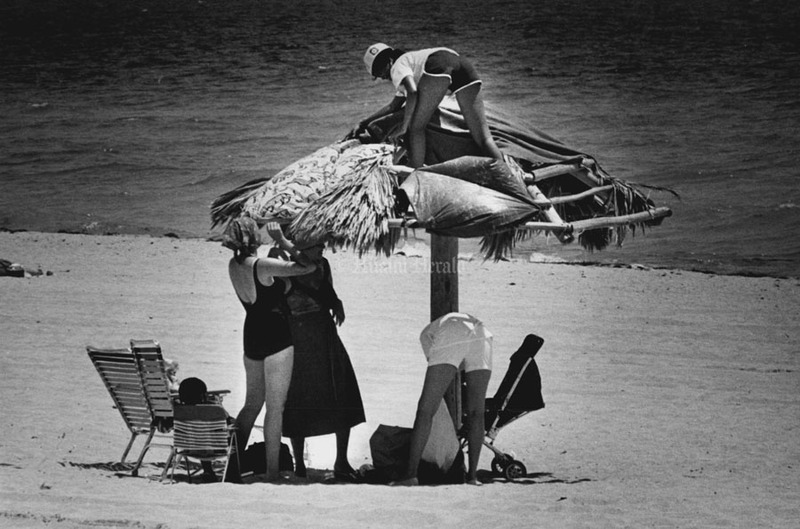 7/30/1986, Randy Bazemore/Miami Herald Staff: Beach goer Joseph Marrero discovers a clever way to stay in the shade while transporting his raft after a day at the beach on 74th st.
8/23/1984, Randy Bazeore/Miami Herald Staff: Sharing the load--Janet and George Jaus head for the beach at North Shore Park with Jessica Mendoza, 14 months, being towed in her beach float. 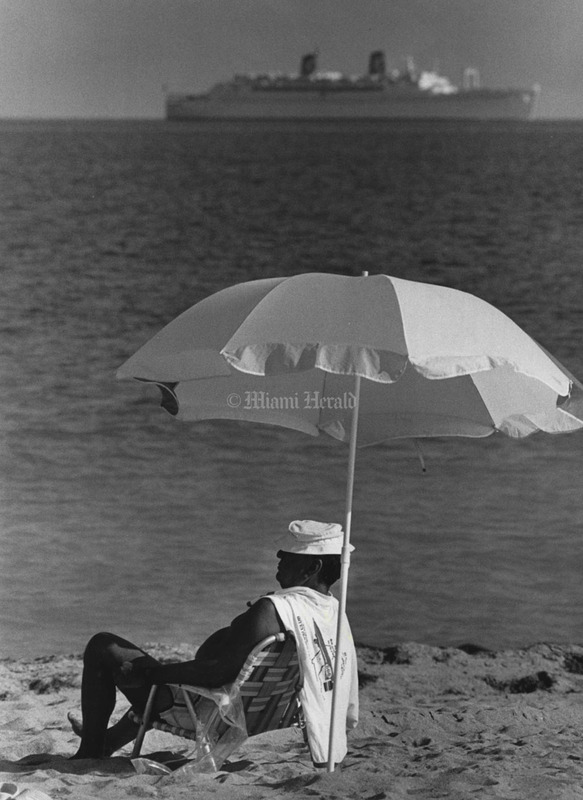 9/9/1984, Randy Bazemore/Miami Herald Staff: Making your own shade. Constructing shade over worn out shelter at Haulover Beach. 9/30/1984, Randy Bazemore/Miami Herald Staff: 65 yr old Ben Lund watches crashing surf in Sunny Isles. 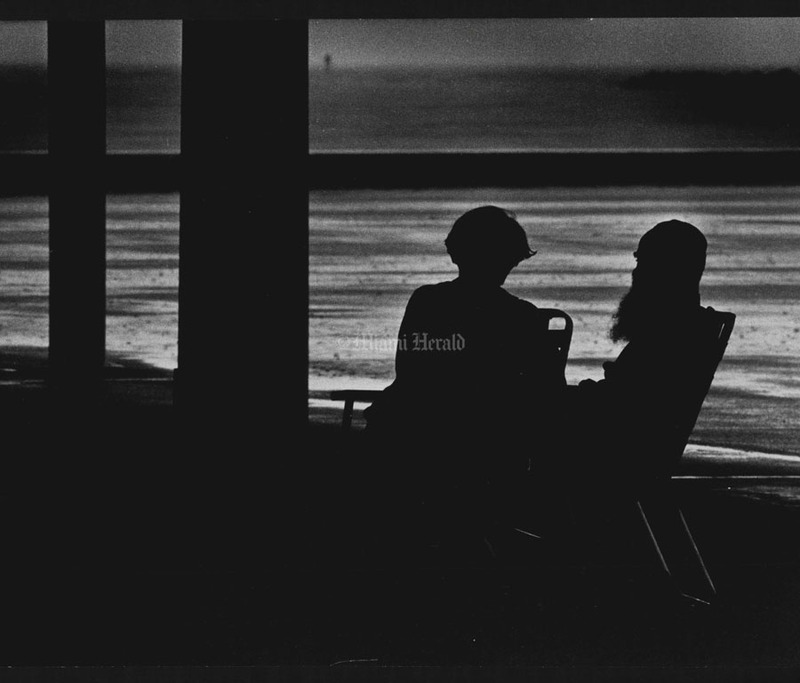 10/21/1984, Randy Bazemore/Miami Herald Staff: Tunnel of love--Hugh Hatfield and Leigh Green steel a kiss in the tunnel at Haulover after spending a day at the beach. 10/28/1984, Randy Bazemore/Miami Herald Staff: Oasis. 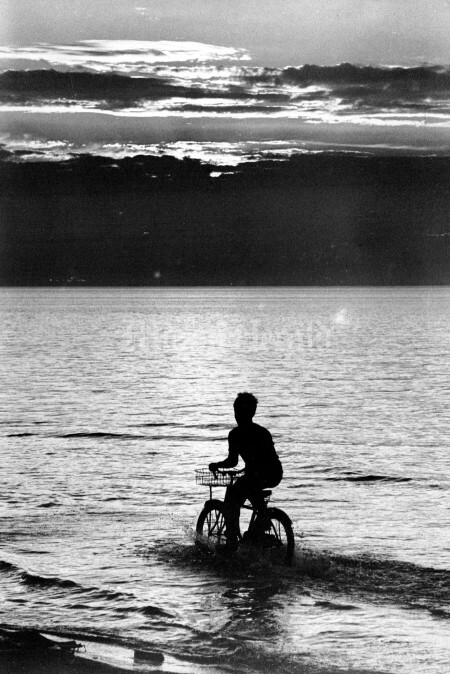 Phil Barino takes a break from bike riding at Haulover Beach. 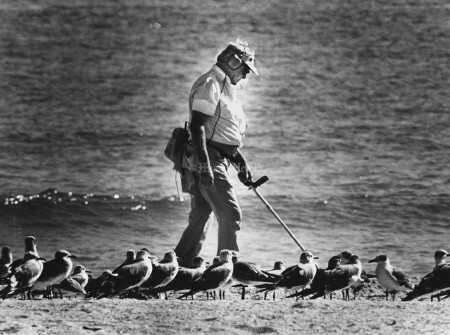 12/16/1984, Randy Bazemore/Miami Herald Staff: Treasure Hunter. Tom Mittach Jr. combs the beach at Haulover daily looking for metal objects. 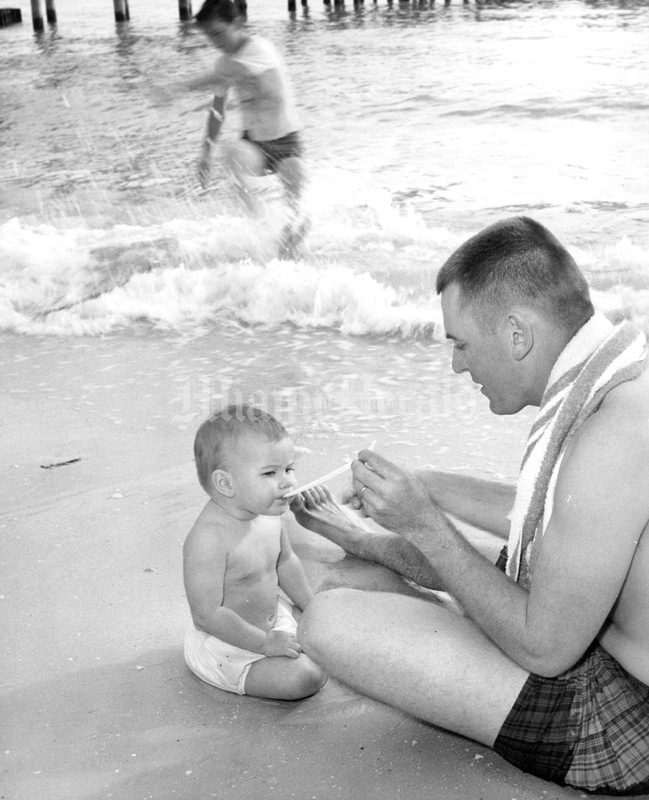 Mittach, a retired N.V. City cop has been combing beaches with his geiger counter for 7 yrs as a hobby since retiring. 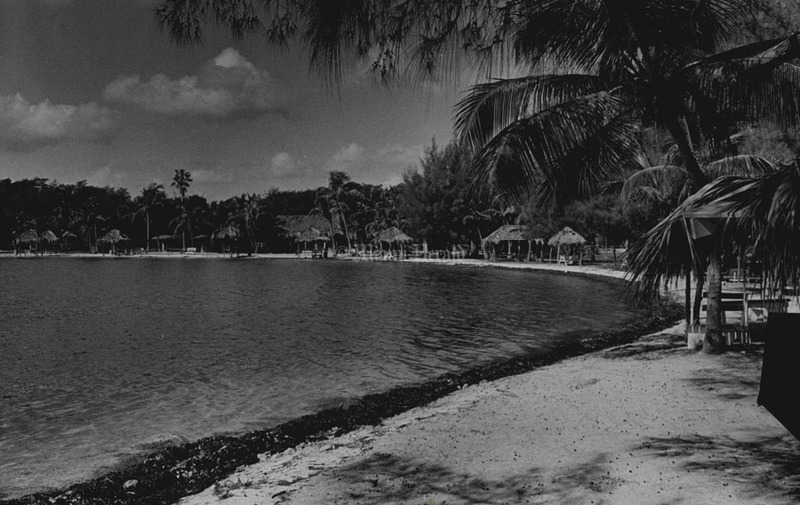 He says he finds rings, gold chains, and some money, mostly foreign. 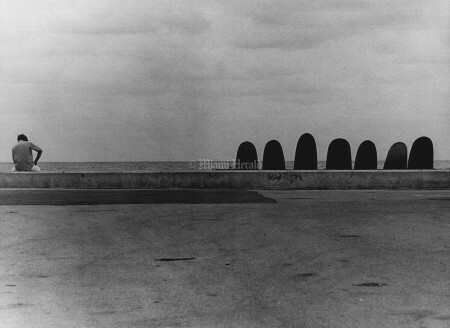 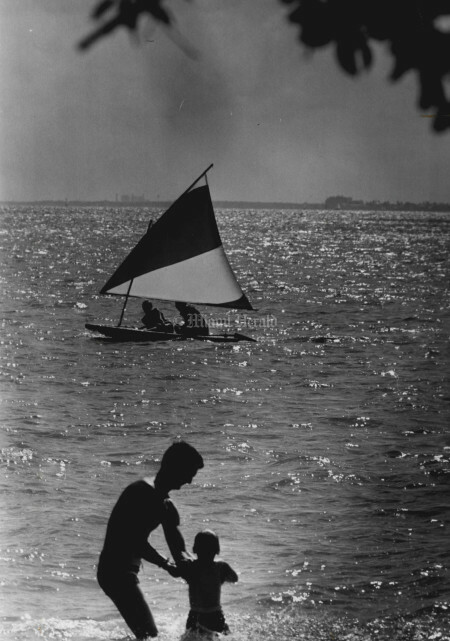 12/30/1981, Tim Chapman/Miami Herald Staff: Byron Keith and his 2 yr old son Keith wade along Rickenbacker Causeway. 5/10/1982, John Walther/Miami Herald Staff: Jensen Beach, Fl. Ecology class. 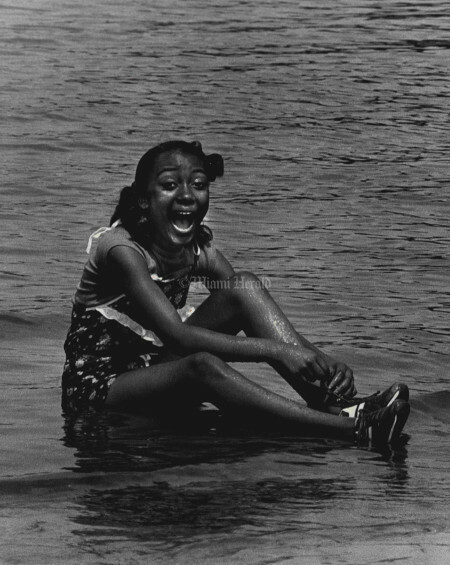 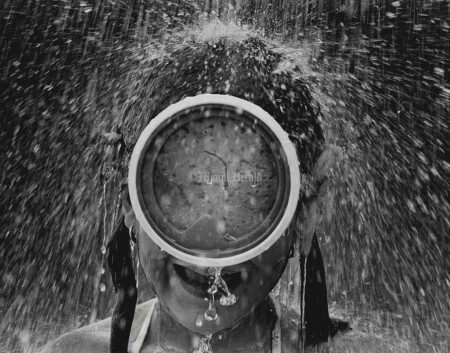 Cynthia Johnson, 11 years, had more fun sitting in the cool water. 5/15/1986, Erica Berger/Miami Herald Staff: Elementary school children plant small plants to try to stop beach erosion among sand dunes. 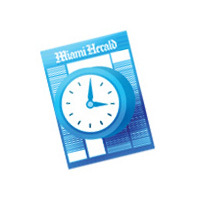 Front, Rachel Evans, 10, who attends Key Biscayne Elementary; rear, Cari Martinez, also 10 years old, who attends Flamingo Elementary. 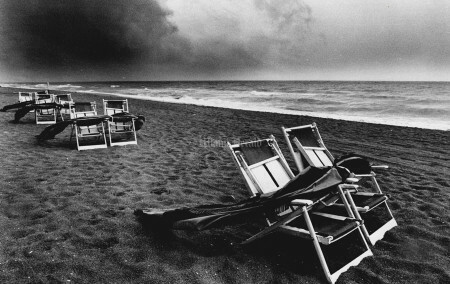 12/30/1984, Pam Smith O'Hara/Miami Herald Staff: Fort Lauderdale Beach during a quick storm during spring break. 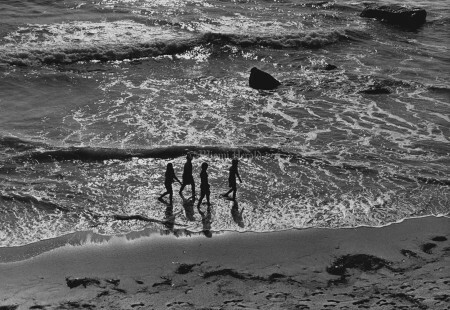 Lasted about 15 min. Earlier it was packed w/kids. 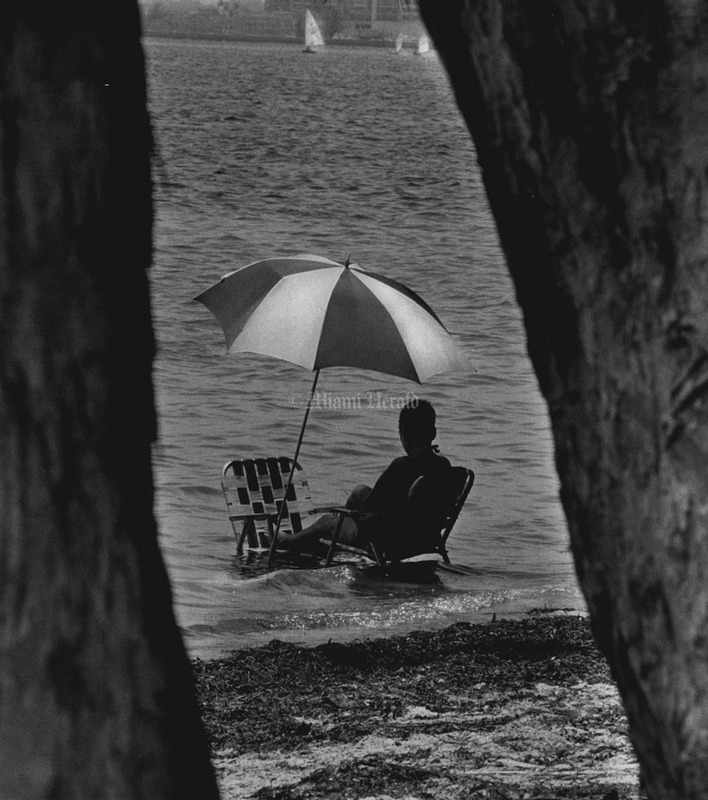 Waiting for his ship to come in Jorge Gutierrez relaxes on the beach in ponderous thought as a cruise ship heads in through Government Cut. 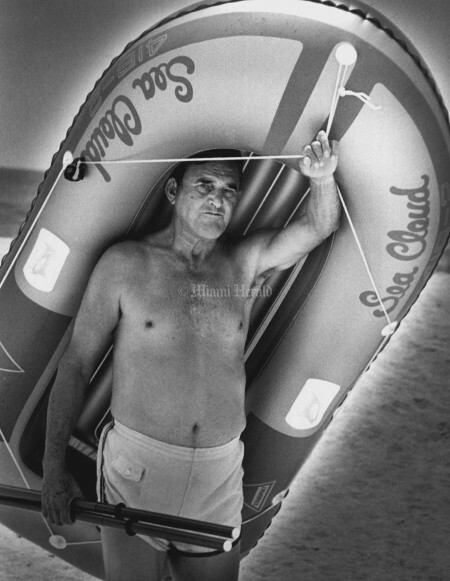 Gutierrez is visiting from New Jersey. Tahiti Beach, looking from the NE corner. 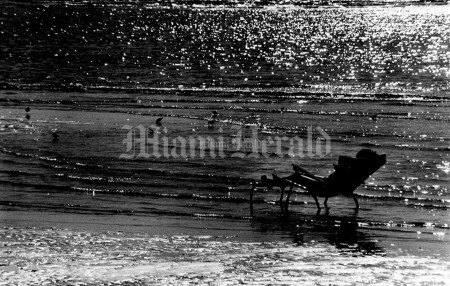 Kevin Valonis, rear, helps keep his two friends, Troy and Dawn Mancuso, warm with a blanket at Haulover Beach the yesterday (Sunday). Pam Karageonges guards at her stand at Hollywood beach polt. 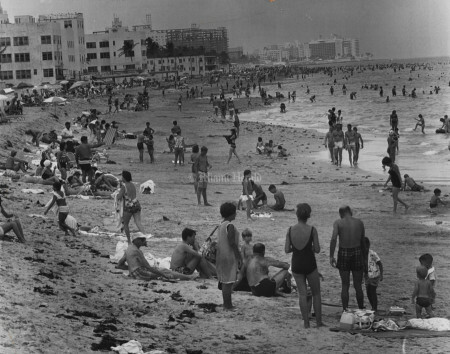 Turistos under the Miami Beach sun. 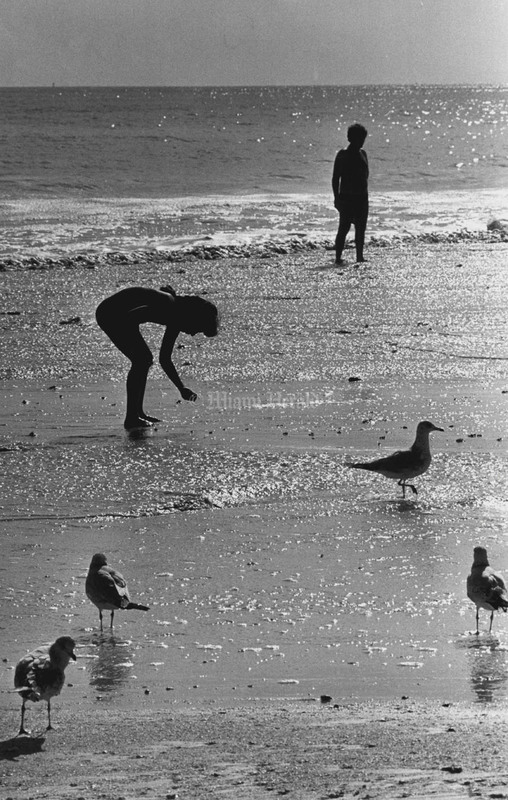 Rachel Leon 8 of Wisconsin loves Miami Beach weather and the opportunity to pick up shells where the new beach is being built at 12th and Ocean Drive the birds enjoy the easy feast of fresh sea food. 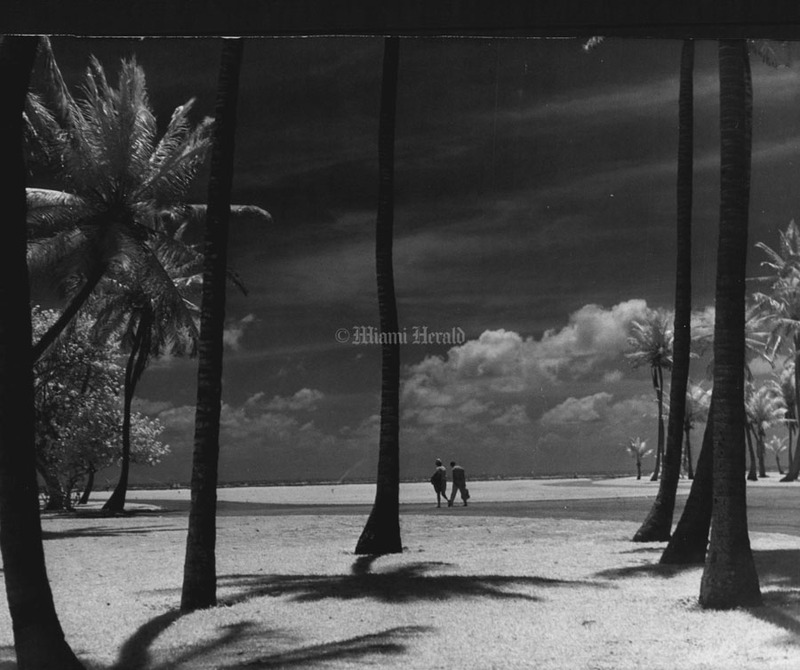 Maureen Eacker, ***** Jodi Tubbs, Sunrise Fl., take an early morning walk on Ft. Pierce Beach. 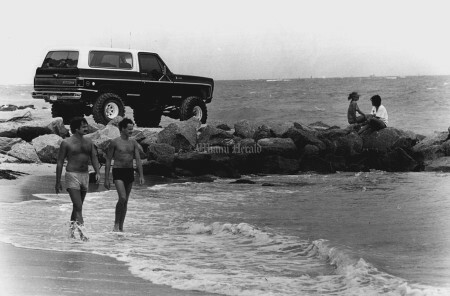 The scene at sewer beach - Barry and Mike (would not give me their last names) walk along the beach as Odalys Sicle, 15, and her sister-in-law Miriam Sicle, 23, sit on the rocks next to a four-wheel drive truck. Melisa Aaron with her dog "Scamp" at Rickenbaker Causeway Beach. Cooling off while the rest of Miami swelters in August heat at the shoreline of Rickenbacker Causeway. 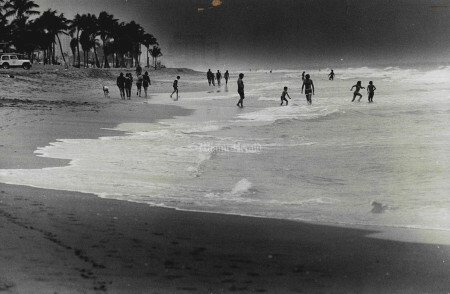 Tourists on the beach despite the cold and rain--which just goes to prove that they really want their money's worth. 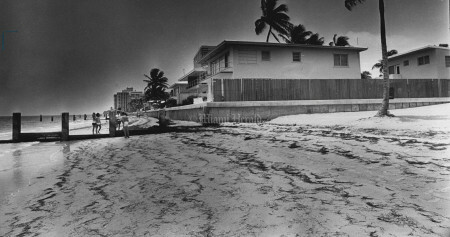 Ann Mayson plays in surf foam created by dreadging of new beach at 90th and collins. 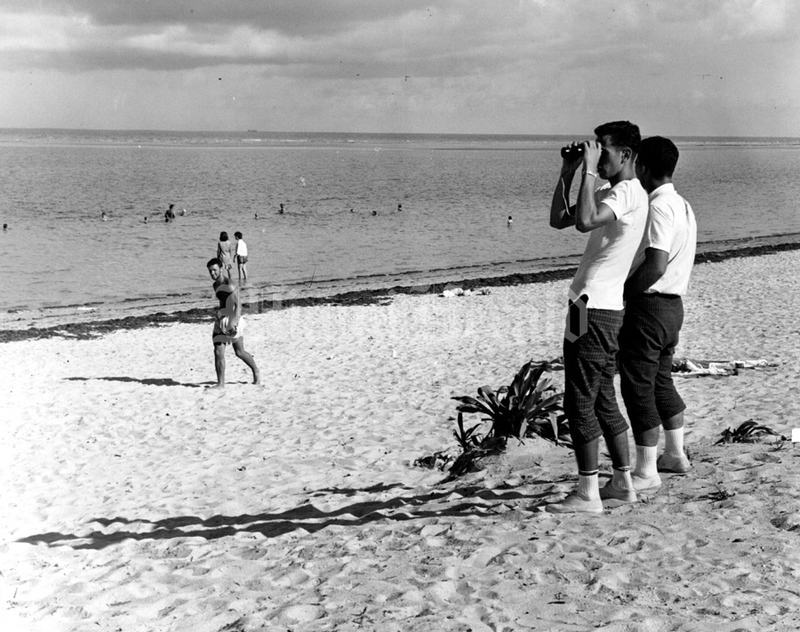 Shell hunters were around too. Ray and Shirley Castelos and their 2-year-old daughter Vicki went crabbing Tuesday afternoon off the Rickenbacker causeway. 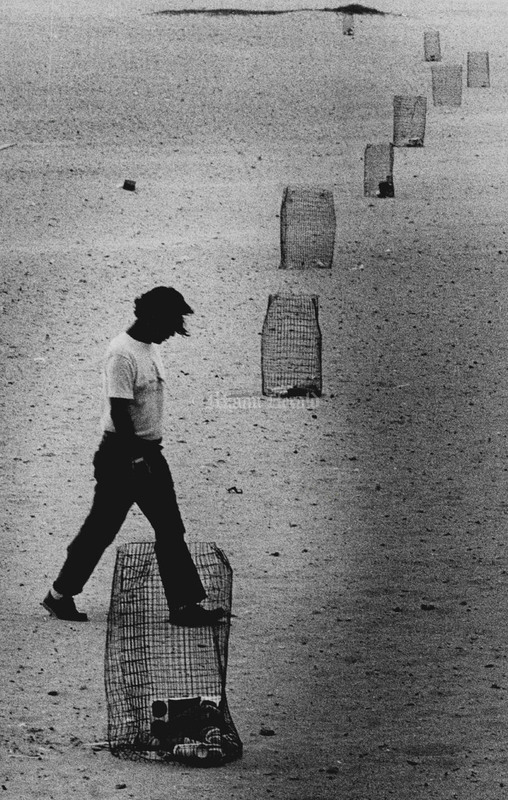 The dogs are Buck, a German Shepherd, and Screwdriver, described by Ray as a "regular mutt." Couple strolling along beach early morning at about 76 St. 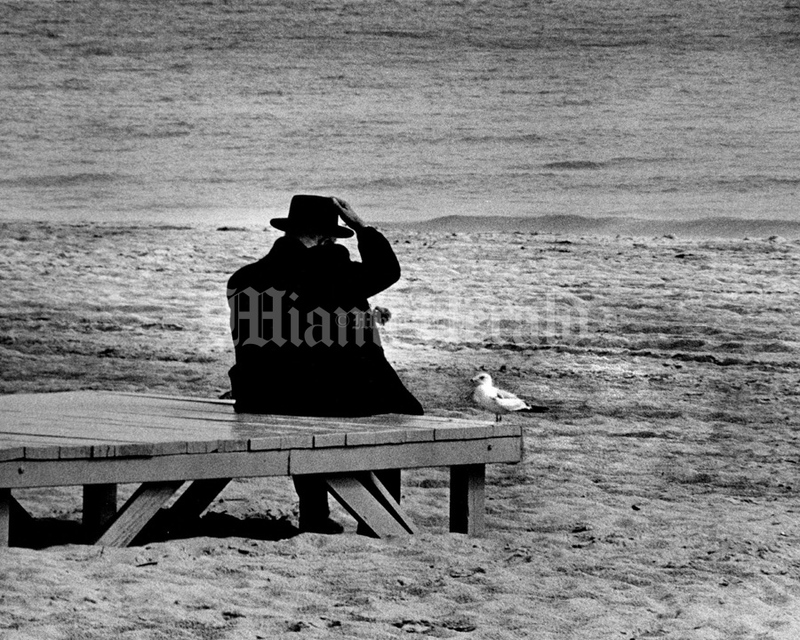 Hot day--Malcolm Johnson sits in shade of hut on South Beach reading a book as temperatures reached mid nineties Wed.
Paul Ross feeds seagulls almost every day on South Beach. He is 77 years old. 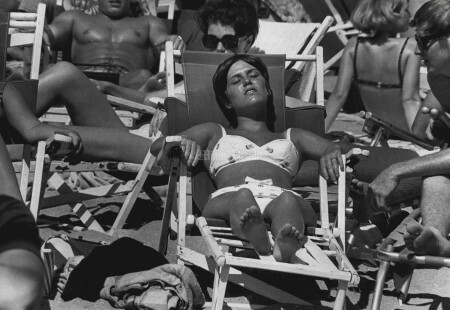 9/2/1966, Albert Coya/Miami Herald Staff: Sun in a Bottle. 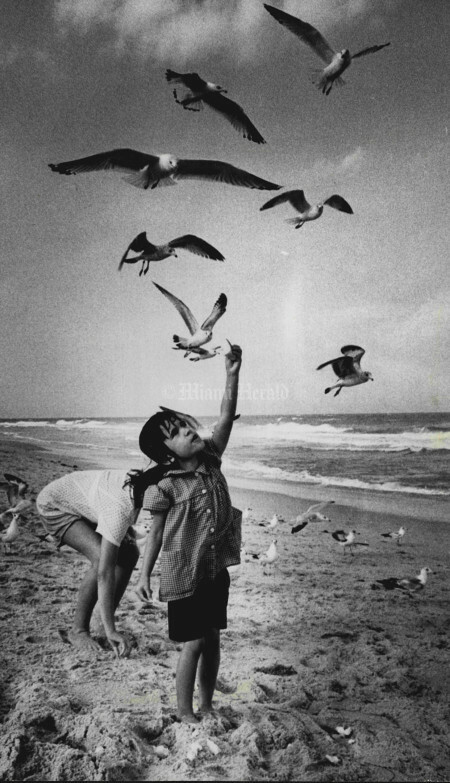 Flights to the moon and stairways to the stars are a little beside the point when you can make the sun your own personal toy. 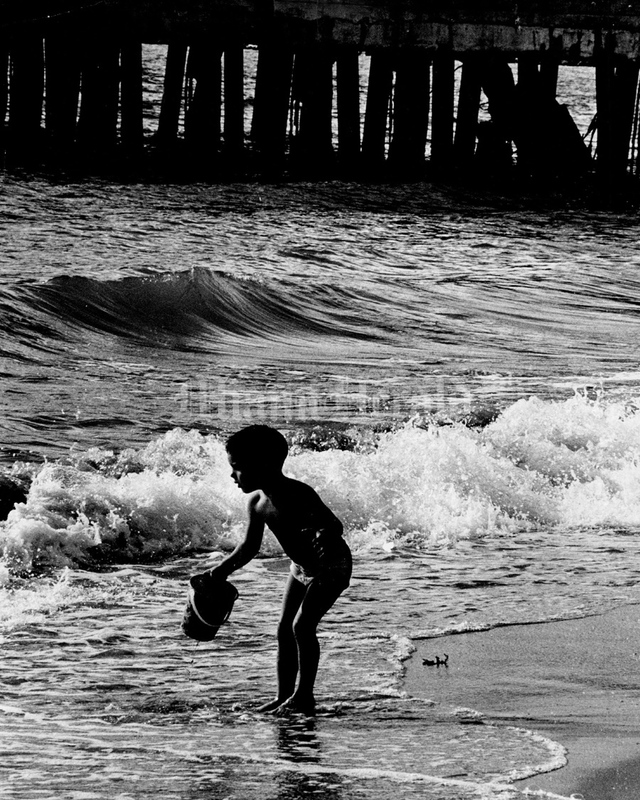 Sun and bottles and beaches have always gone together, but this young innovator seems to have captured the essence. 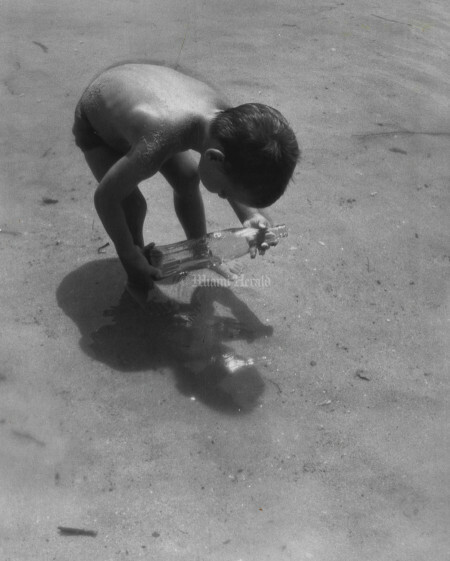 His sun comes out brighter, his sand prettier, and his bottle is for a moment something more glorious than litter. Even the sun is fair game, if you know how to go about it. 2/6/1970, Bill Kuenzel/Miami Herald Staff: Beach. 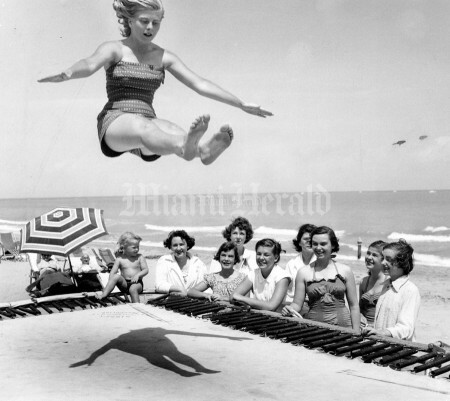 4/4/1965, Bill Kuenzel/Miami Herald Staff: Things 're Boss. 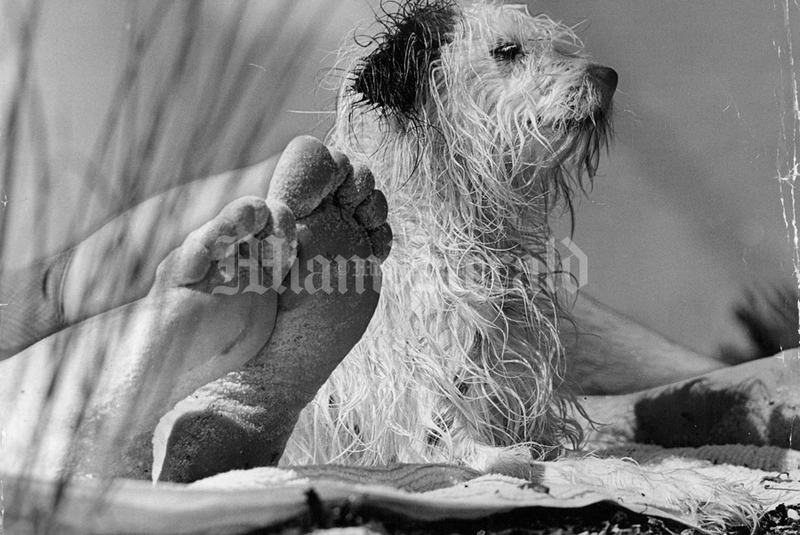 With sticks and pieces, the hot doggers and the hoe-daddies, with the inevitable gremlins and beach bunnies in tow populated South Beach Saturday. 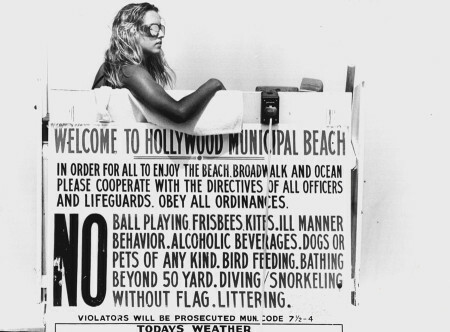 Things were boss. A few wiped out, one pro hung ten and the wahinis were everywhere in abundance. 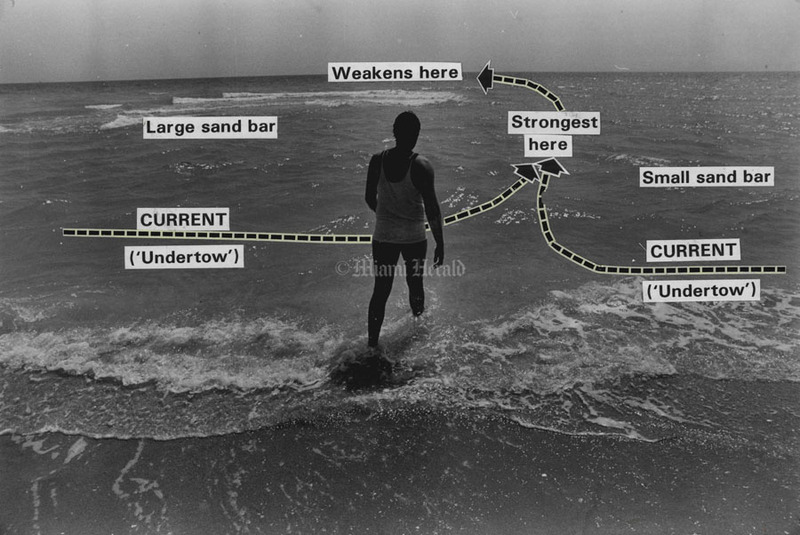 In people talk, this means there was a lot of surfing going on. "Sticks and pieces" are boards and a "hot dogger" is a trick artist who surfs only the smaller waves. A "hoe-daddy" is no surfer at all, but just hangs around causing trouble, ogling the "beach bunnies," who are the same thing only girls. 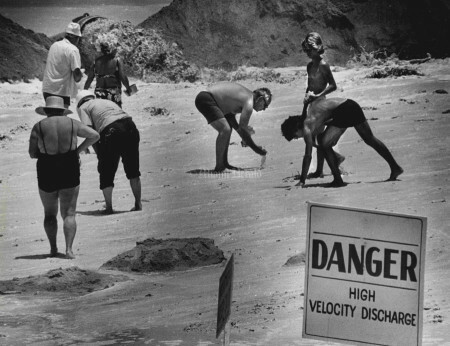 "Gremlins" are beginners, "boss" means things are great and "wiping out" is falling. 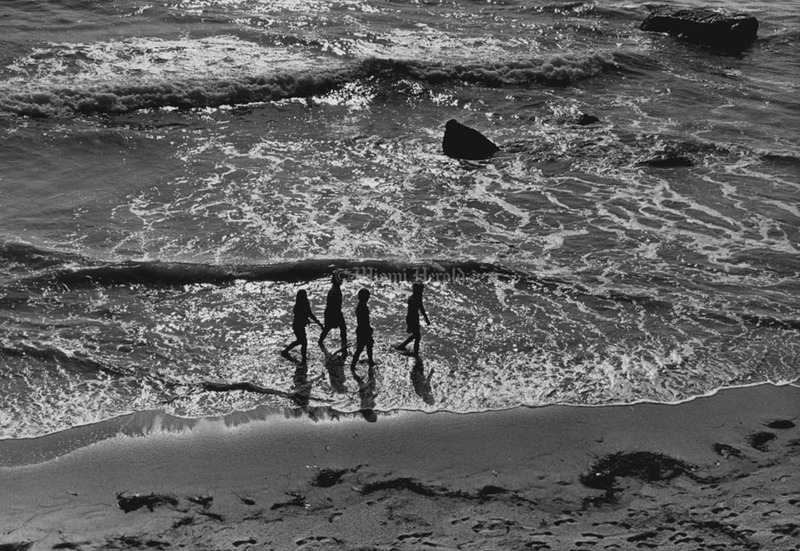 "Hanging ten" is putting all 10 toes over the board's front edge, which will impress "wahinis," who are legitimate girl surfers. 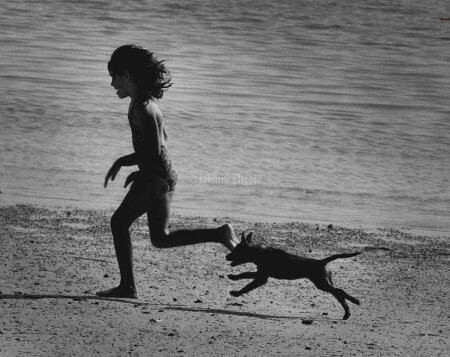 School’s out. 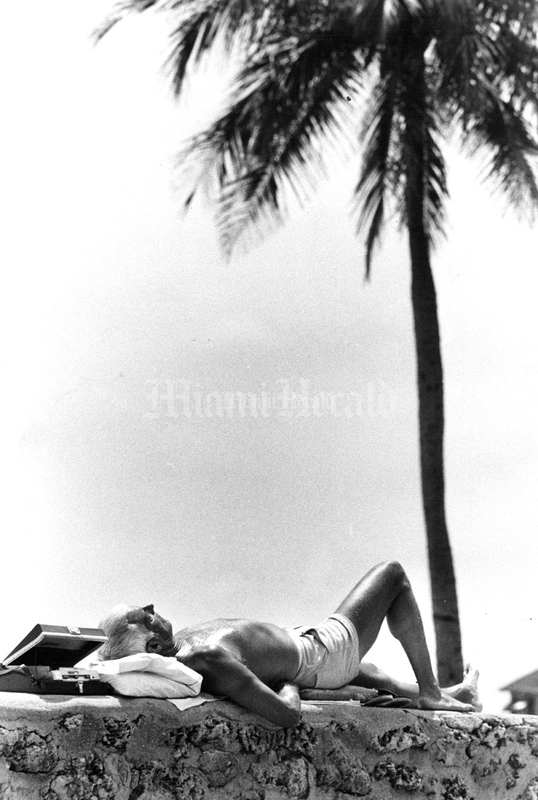 3/19/1965, Bob East/Miami Herald Staff: Hot Hoot. The thermometer, obviously in a show-offy mood, boiled up to 86 degrees to impress our visitors Friday and thereby set a heat record for March 19 unmatched since 1953. 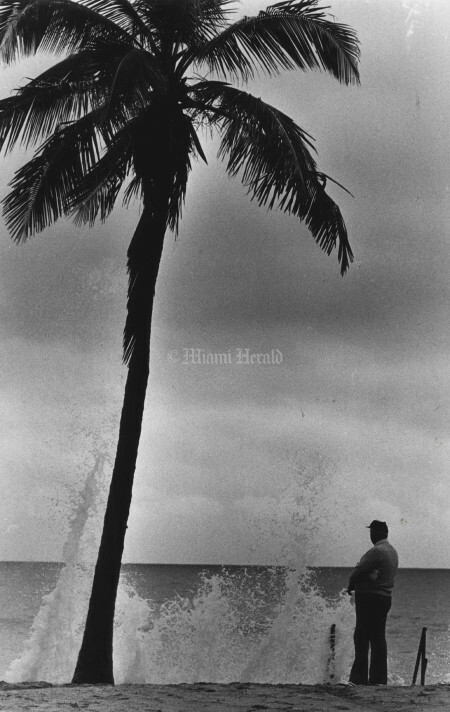 In reporting the mercury's wild abandon, the weatherman noted that there has been only spotty rainfall in glorious Dade County since March 4. 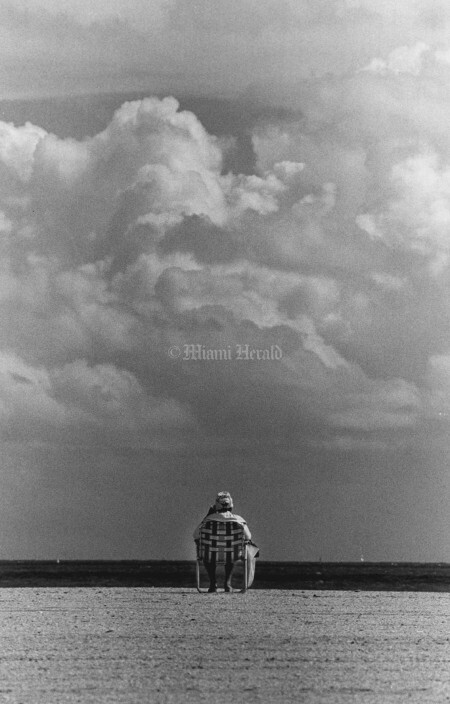 3/27/1966, Jim Birmingham/Miami Herald Staff: Cloud Nine. 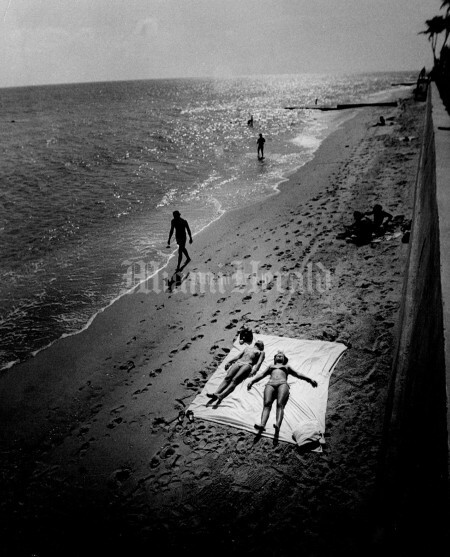 While the folks up north still feel a tinge of winter's unkindness, these sunbathers toast themselves at Pier Park, oblivious to snow and sleet and all that goes with a malingering winter. 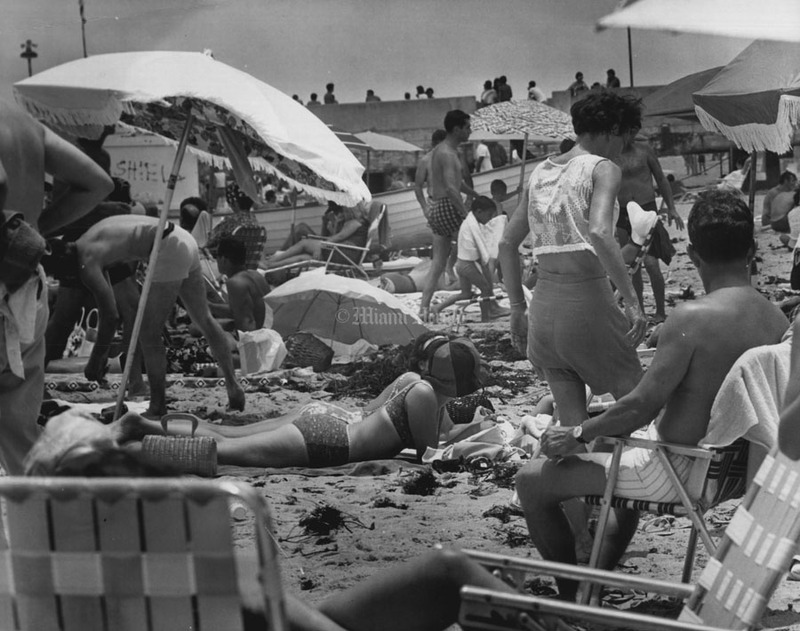 If today's your day for the beach, you'll get the same treatment from Old Man Sun: temperatures climbing to the 70s during the afternoon and no rain in sight. 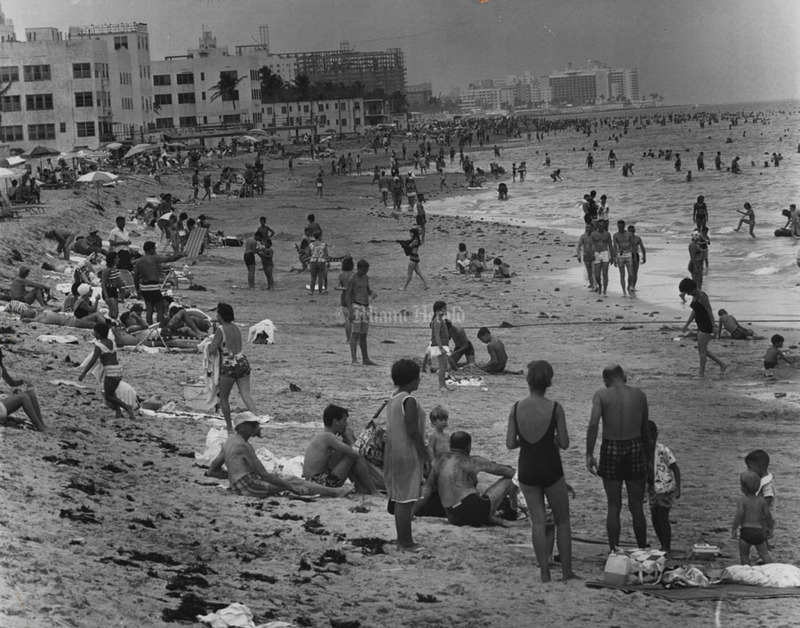 Tonight is expected to be cool, however, with temperatures dropping to about 50 degrees, well inland and the low 60s in Miami and the Beach area. 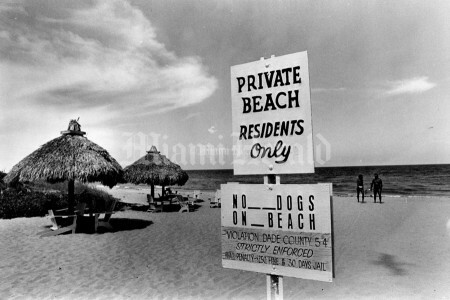 3/31/1970, Doug Kennedy/Miami Herald Staff: Beach. 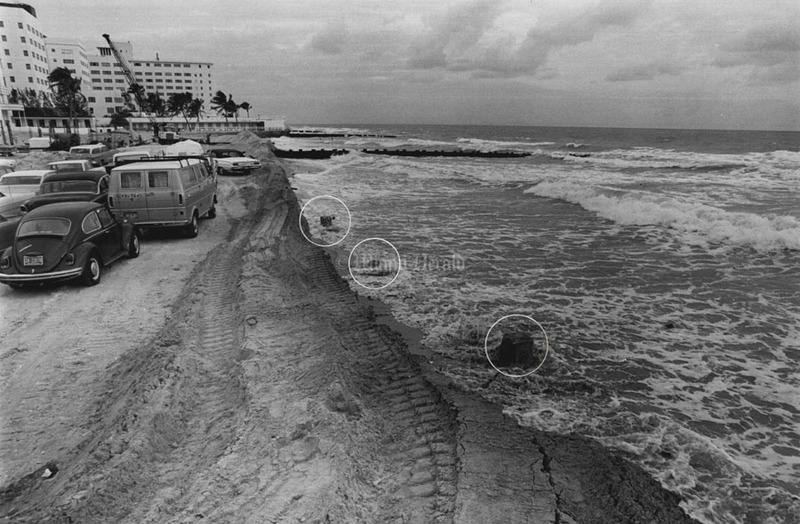 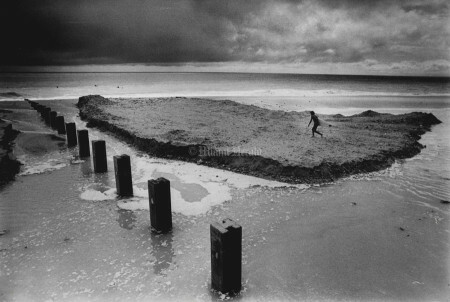 10/7/1974, Marlin Levinson/Miami Herald Staff: Lone surfer carries his board across "Island" of sand created by pounding surf at Bal Harbour. 4/25/1969, Gus Schuettler/Miami Herald Staff: Miami Beach. 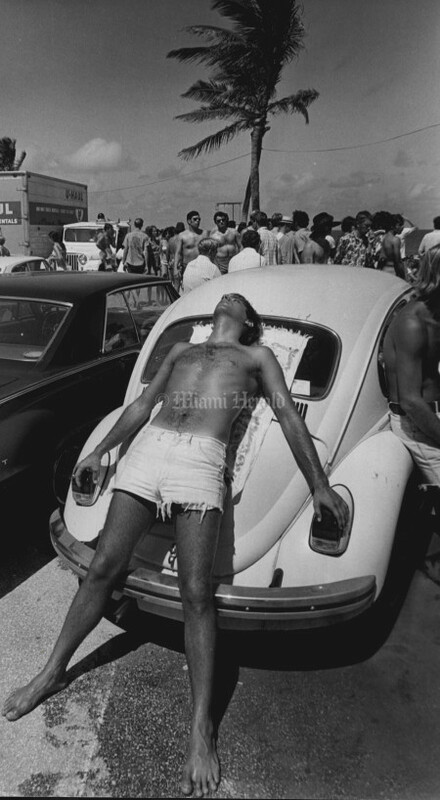 3/20/1969, Dave Didio/Miami Herald Staff: South Beach. 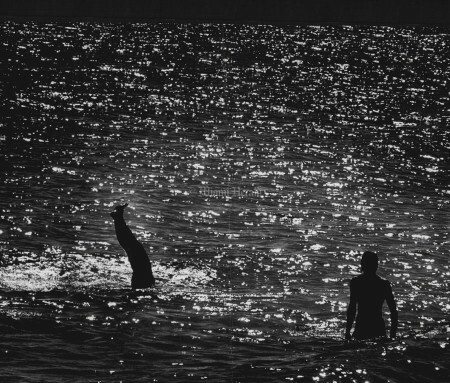 Loch Ness monster nah... just his buddy trying to do hand stands at South Beach. 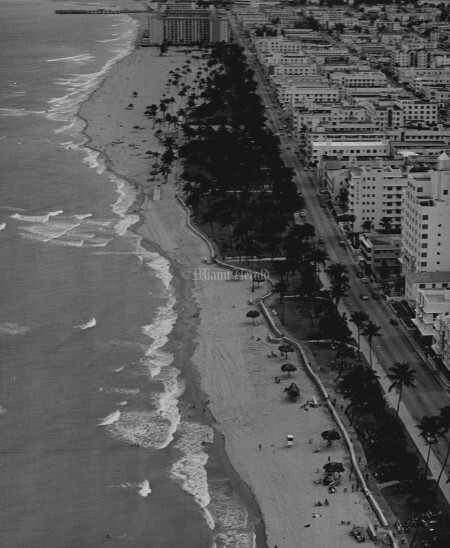 Row of empty trash containers on south beach awaiting crowds who didn't show because of grey day. Nearly Empty Beach near govt cut on grey morning. 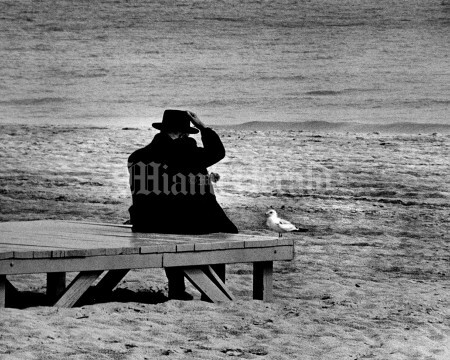 U. of F. Profs. install sand erosion Gauge off S. Beach. 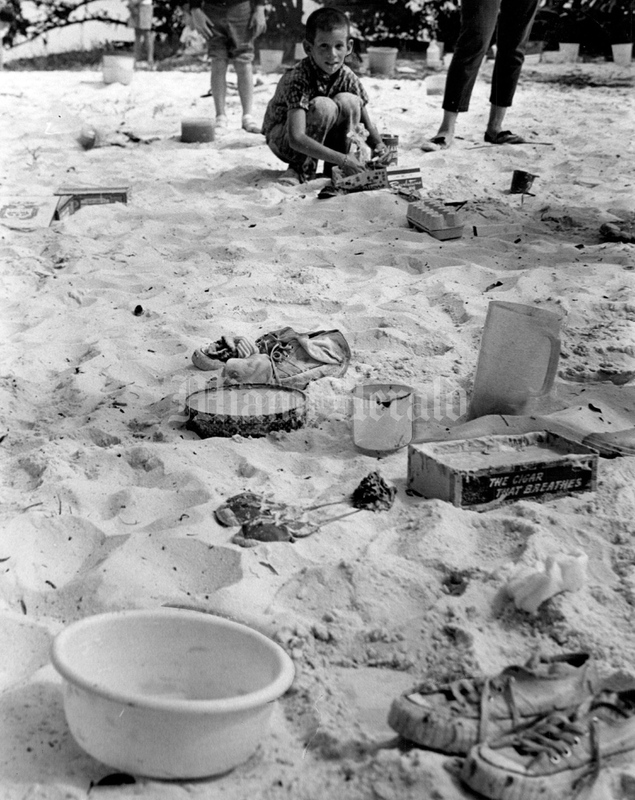 6/17/1977, Joe Rimkus Jr./Miami Herald Staff: Shell collectors at beach restoration project on 85th street. 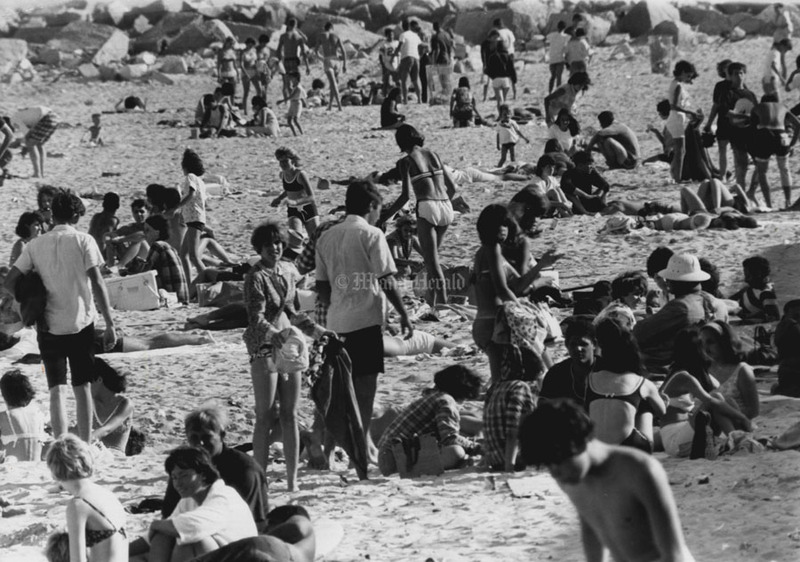 5/30/1977, Roy Bartley/Miami Herald Staff: Crowds at 81st St. Beach. 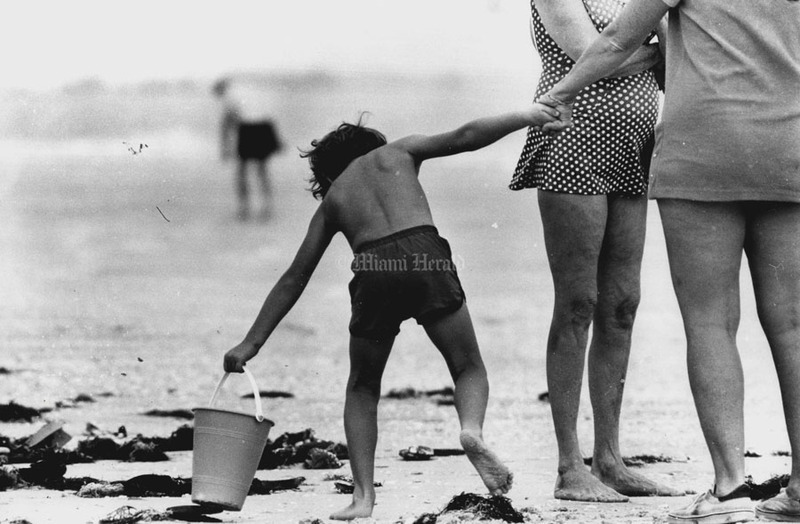 6/1/1977, Skip Heine/Miami Herald STaff: 6 year old Amy Hubbard keeps cool. 10/11/1976, Skip Heine/Miami Herald Staff: Surfer Pat Mary wraps self in blanket as Roofer looks to play with a coconut. 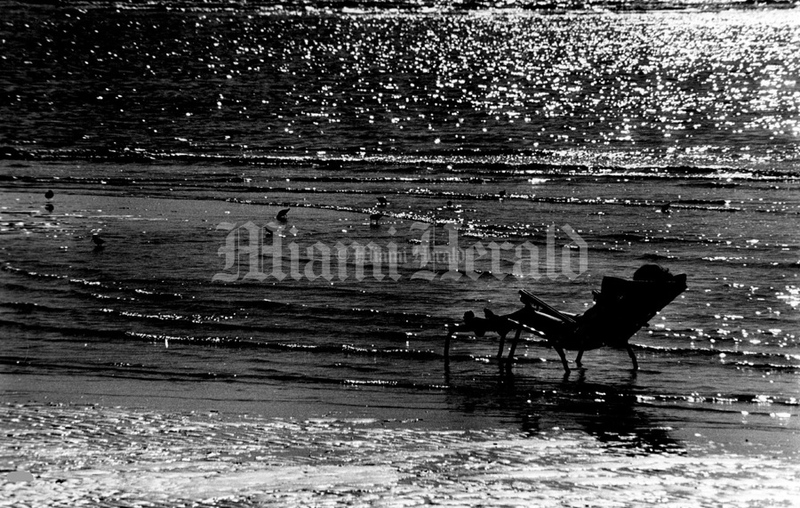 1/1/1977, Marlin Levinson/Miami Herald Staff: Beach. 4/27/1973, Bob East/Miami Herald Staff: Lummus Park Beach needs more sand. 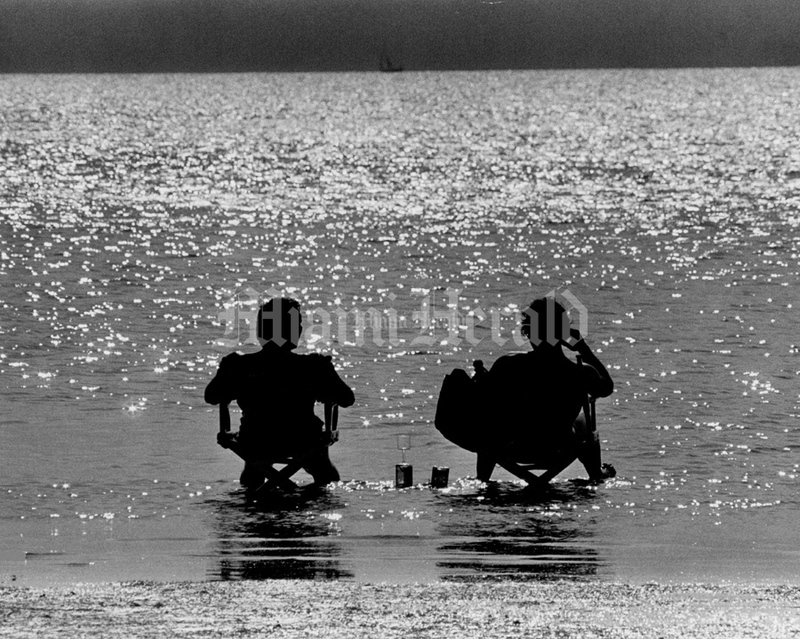 3/16/1973, Albert Coya/Miami Herald Staff: Beach. "Cape Florida Mermaid"
8/31/1975, Albert Coya/Miami Herald Staff: Haulover Beach, Bal Harbour. 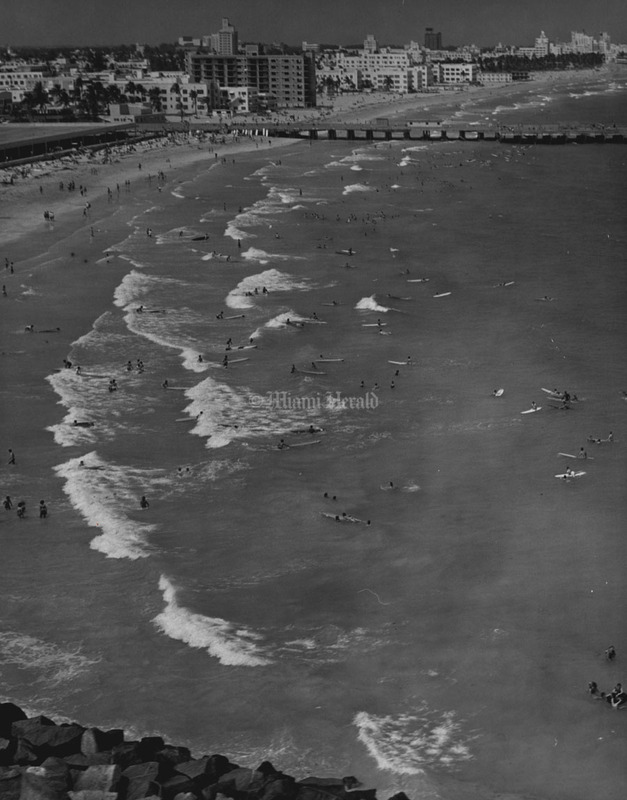 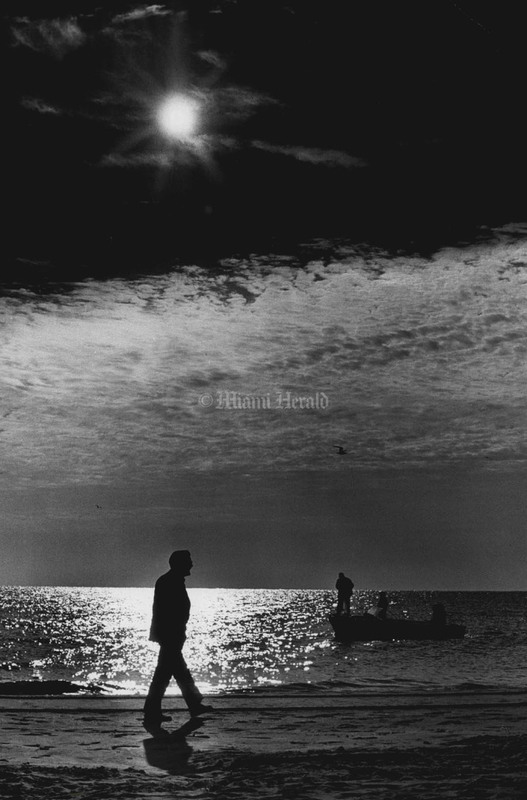 8/5/1970, Miami Herald Staff: There is something about an uncrowded beach and a fishing pier, such as this one in Broward County, that conveys a sense of tranquility not to be found in other areas. 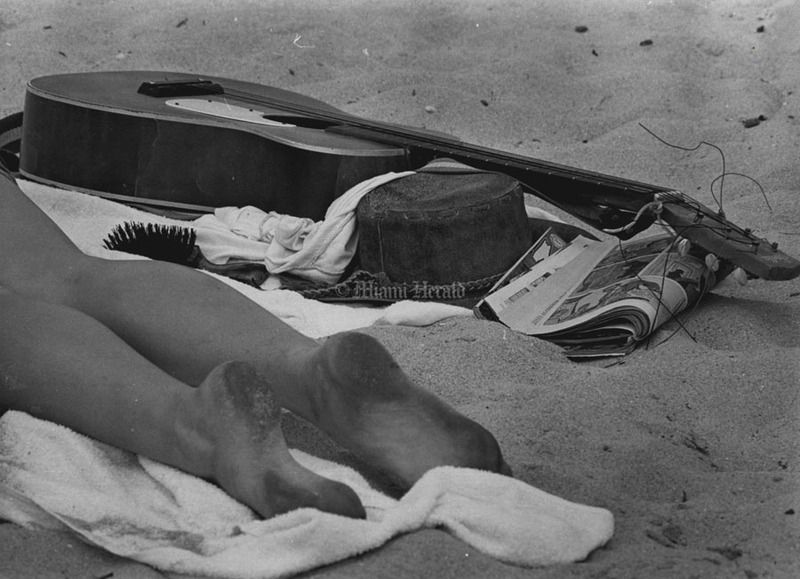 There, a few hours relaxation may be found by wetting a line, going for a dip, sunbathing or simply walking along the moist sand. 4/9/1974, Phil Long/Miami Herald Staff: Here, Gull. Walkers on any beach in Florida, not just this one in Vero Beach, will draw a feathery crowd of sea gulls if they bring along anything that is remotely called food. 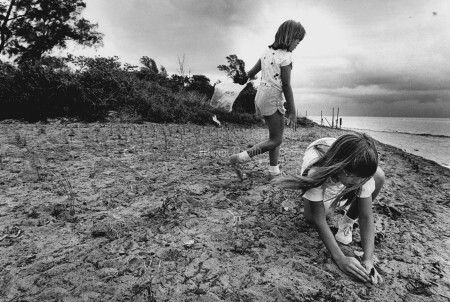 Sara Dulebohn, 5, of Lima, Ohio, and her sister, Shellie, 11, find that old hot dog buns can make some friends. 6/3/1976, Tim Chapman/Miami Herald Staff: Beaches. 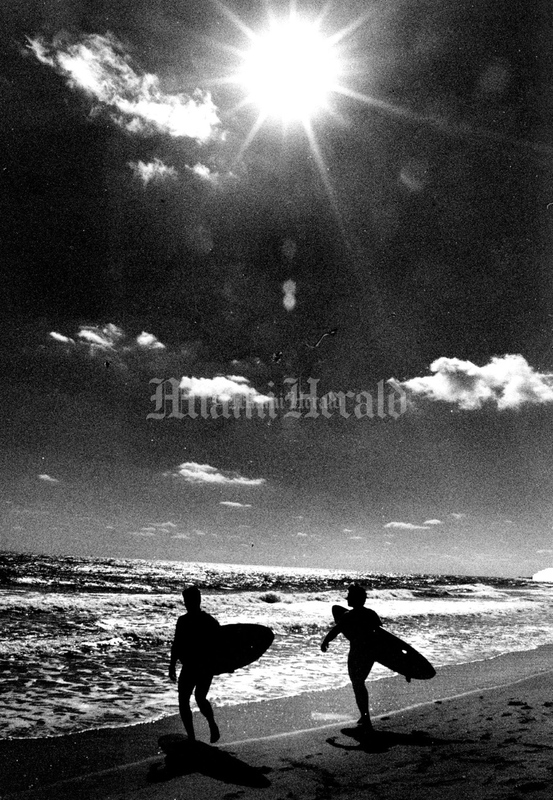 3/25/1975, Albert Coya/Miami Herald Staff: Beach, "Free Souls". 7/1/1973, Joe Elbert/Miami Herald Staff: Teenagers, 18 yr olds, celebrating on South Beach with beer & wine. 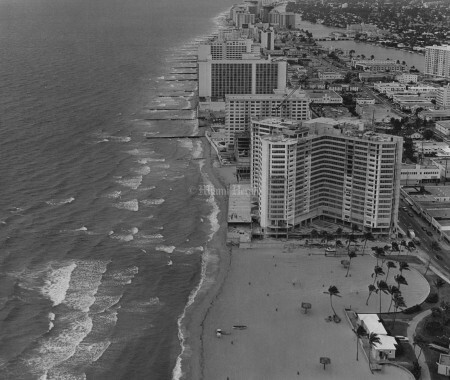 5/19/1970, Bill Kuenzel/Miami Herald Staff: 12th St. Beach looking south. 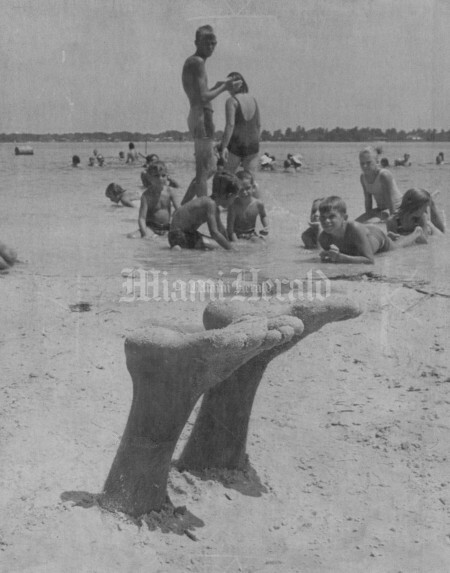 8/7/1971, Ralph Pabst/Miami Herald Staff: Beach. 7/3/1966, Albert Coya/Miami Herald Staff: It's a Sun-timental Day. 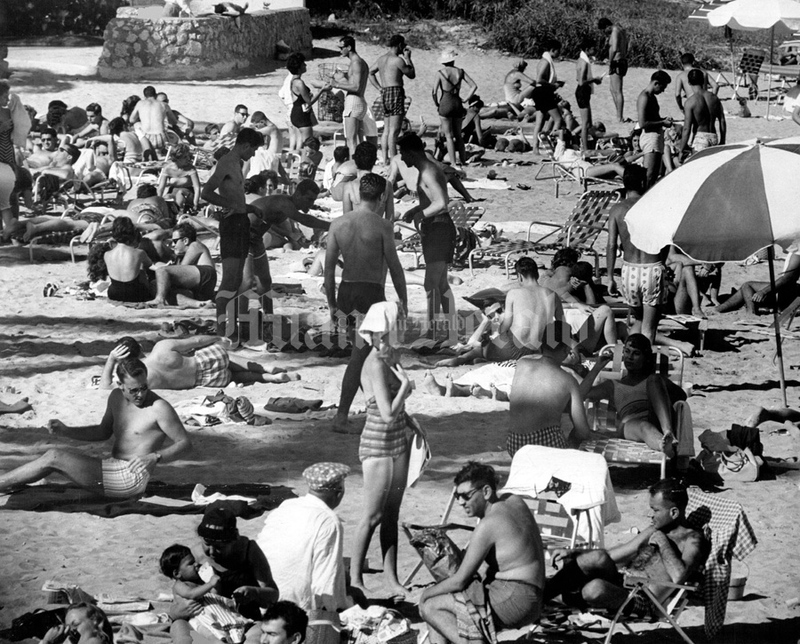 It was like old times for Miamians and summer visitors to Dade County as a beautiful, sunny Sunday attracted crowds to the beaches. 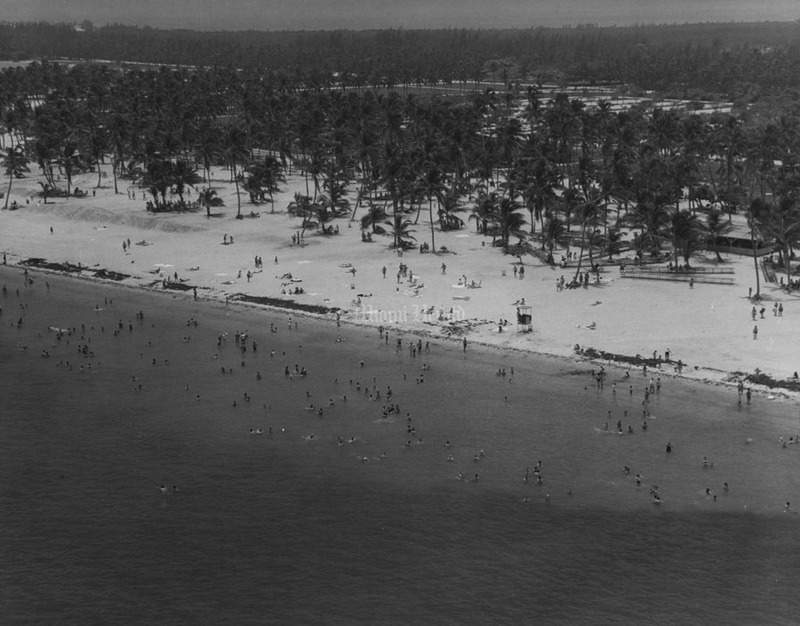 This throng on South Miami Beach took advantage of the excellent weather, replacing the rainy days of the past month. What better way to spend the day before July 4 than in the sand and surf. Bathers had one wish - more of the same sunshine for a long time. 7/3/1966, Albert Coya/Miami Herald Staff: Our Naiad. There's a rather nice old Greek legend that beautiful young girls live in the springs, lakes, rivers and seas of the world and give them life and make the waters a happy place. 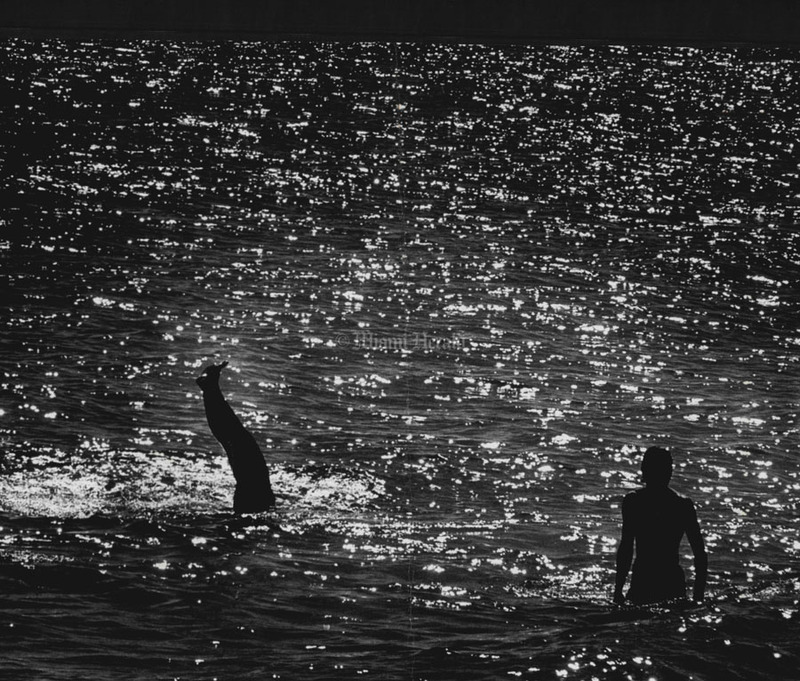 They call these beautiful creatures naiads. 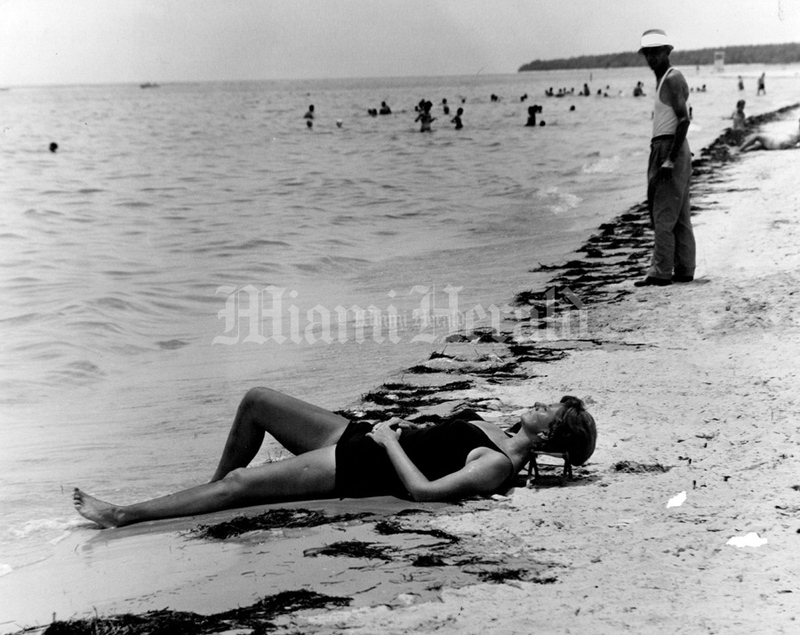 Miss Luisa Martinez of 920 SW 78th Ave., Miami, qualifies for the role at South Beach. 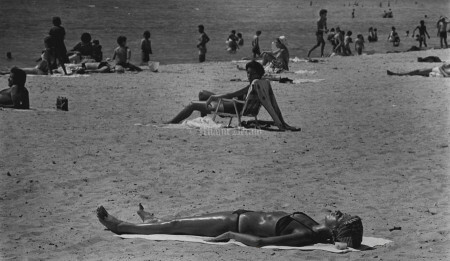 Mainly she's just beating the heat on an extra-warm summer day, but the photographer couldn't resist that legend. 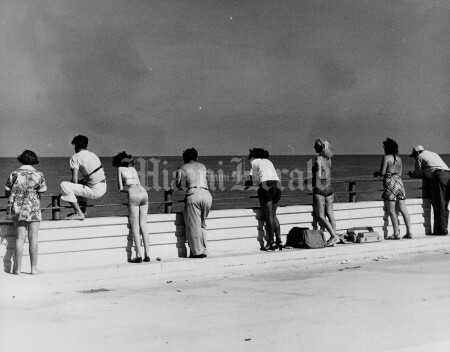 4/11/1966, Albert Coya/Miami Herald Staff: Hanging Eight. 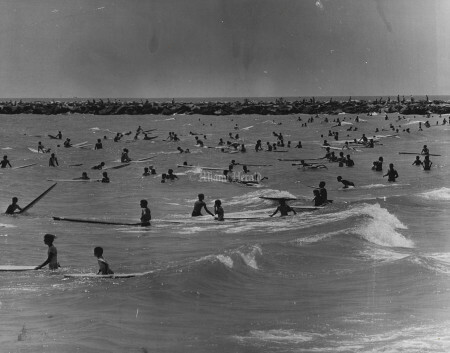 Most of the happy natives - students enjoying their last couple days of spring vacation - paddling in the surf probably couldn't hang ten (that's 10 toes over the board's edge) anyway. 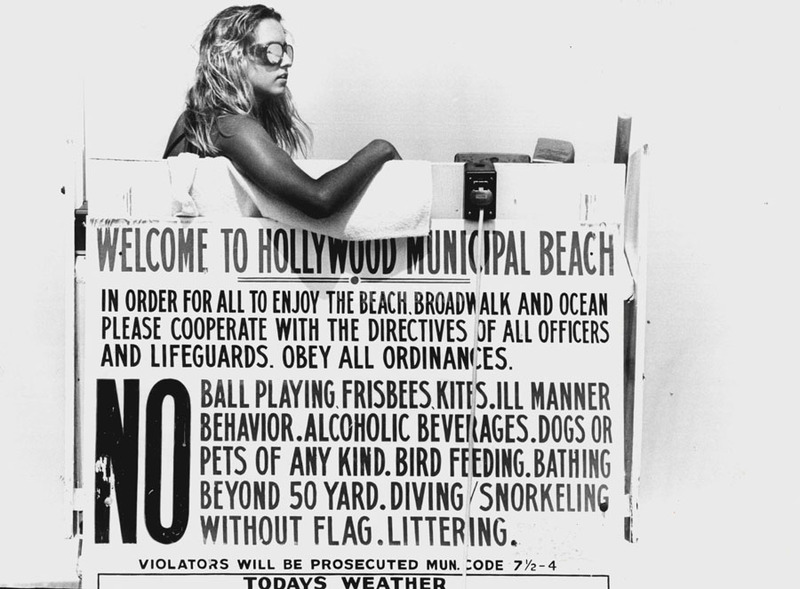 It's just camp these days to carry a board around. Surf or no surf. 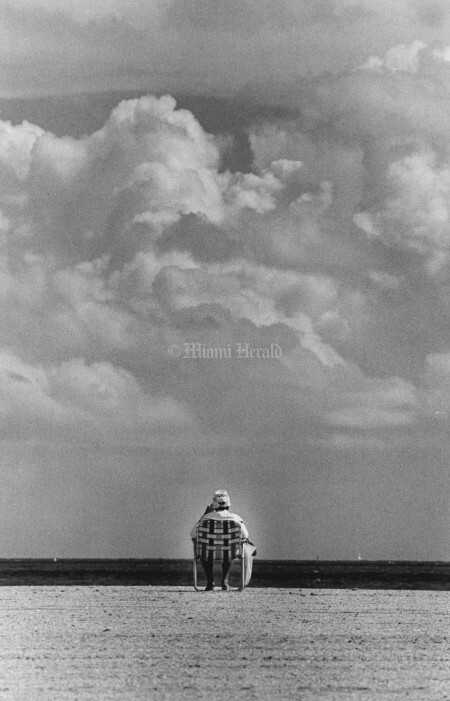 3/5/1967, Jim Birmingham/Miami Herald Staff: Rickenbacker Causeway. 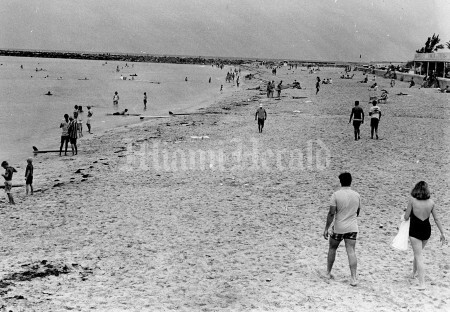 7/3/1966, Albert Coya/Miami Herald Staff: Beach. 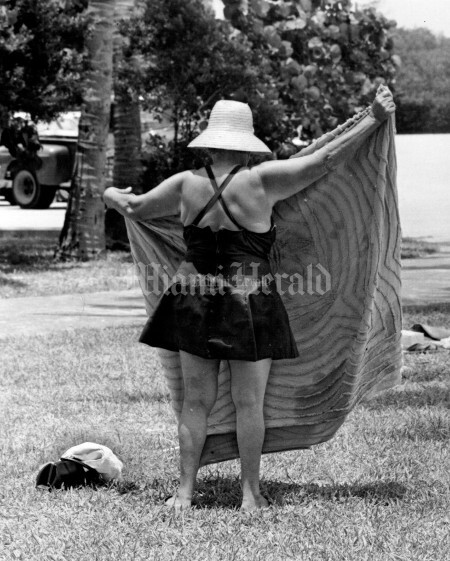 7/4/1966, Bill Kuenzel/Miami Herald Staff: Crandon Beach. 7/5/1965, Tom McCarthy/Miami Herald Staff: Beach scenes. 4/18/1965, John Pineda/Miami Herald Staff: Sunday Spy. What's more fun than focusing on a sun-bronzed bikini girl? 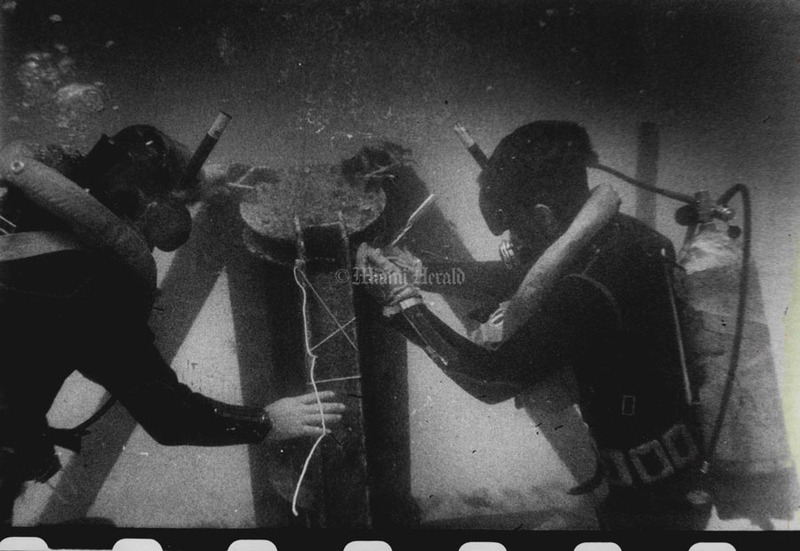 Shucks, that's nothing compared to keeping a close watch on your buddies. 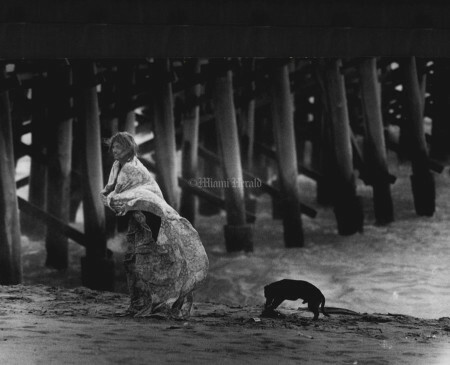 Who knows, one of them might dig up a Spanish doubloon, and you can see all the action at he drop of a coin in the slot. 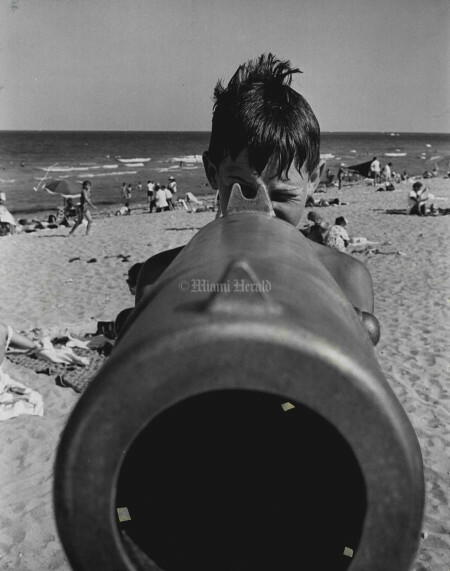 Young Alan Gainley trained the big telescope on his digging friend (shown in inset) at Haulover Beach Sunday, where thousands hit the sand for Easter bakings.